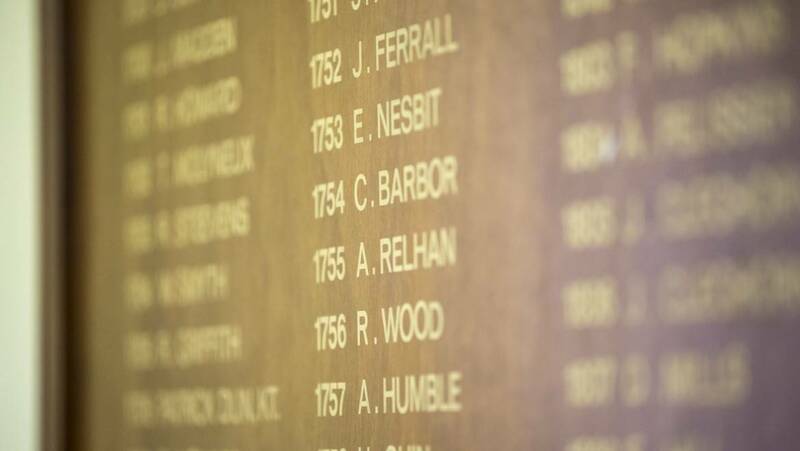 Marking the 350th anniversary of the granting of the first Royal Charter to the College, our Lives of the President project aims to bring together biographical sketches of the 142 men and women who have held the office of President of the College. Lives of the Presidents is a collaborative project, aiming to create and share biographical sketches of the past-Presidents of the College. 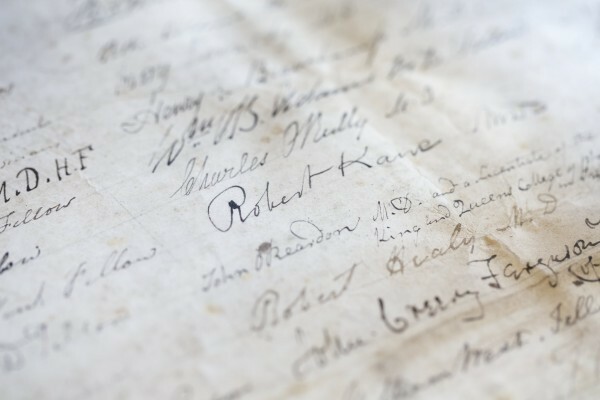 The project would not have been possible without the support of the numerous volunteers who wrote the biographical sketches of the Presidents. A full list of the contributors to the project can be found here. We are still looking for volunteers to help us complete the project. 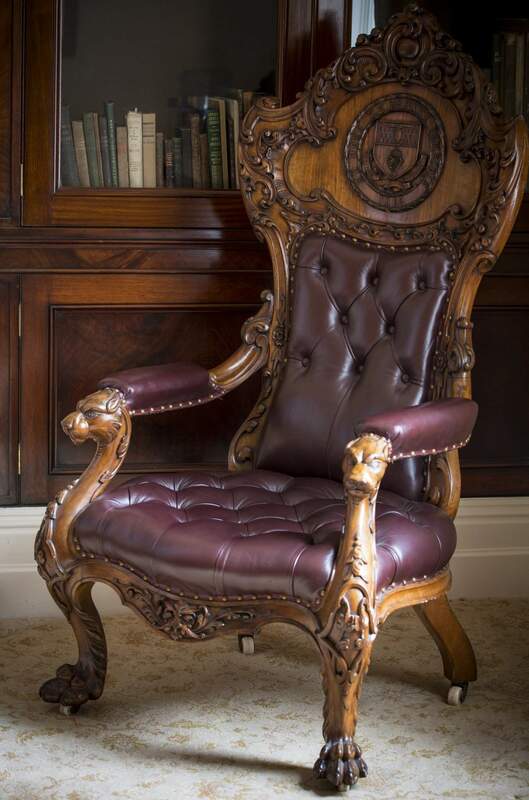 To get involved just contact the Heritage Centre and we will provide you with a research pack on your chosen President and guidelines on writing the biography. CPD points are available for those who take part in the project. In 1667 King Charles II granted a Royal Charter to the Fraternity of Physicians of Trinity Hall, establishing it as the College of Physicians of Dublin. This Charter established the office of President of the College and named John Stearne, the founder of the Fraternity, as President for life. Between the death of Stearne in 1669 and the granting of the second Royal Charter in 1692, the term of office of the President was not prescribed. With continuing political turmoil in Ireland during these decades the election of the College Presidents was erratic and not well recorded. 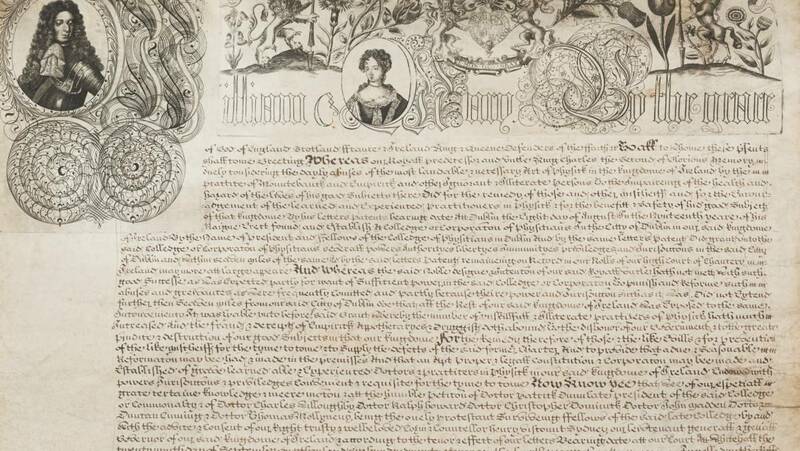 A second Royal Charter was granted to the College in 1692, this Charter specified that the President of the College was to be elected on St Luke's Day, 18th October, for a one-year term. 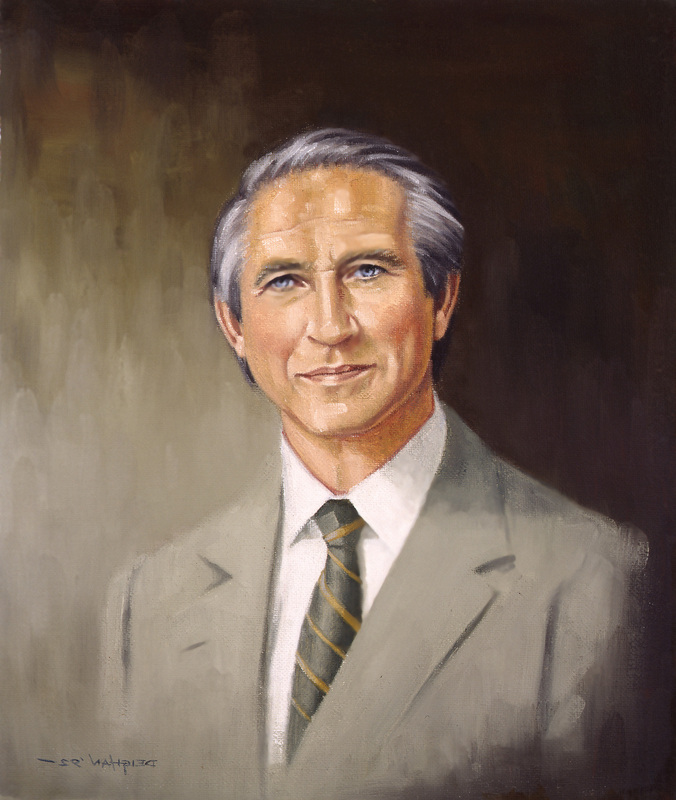 Patrick Dun was named in the Charter as the first President of the re-founded College. In 1829 the College increased the normal term of the presidency to two years. This was increased again in 1927 to a three-year term, which it remains today. 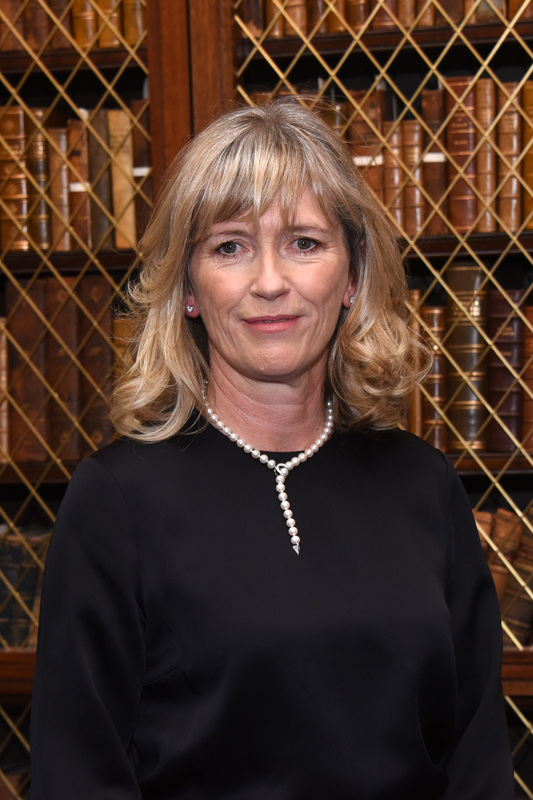 Except in special circumstances, since 1692 RCPI's Presidents have taken up and demitted from office on 18 October, the feast day of St Luke the patron saint of medicine. A bibliography of the main sources used in compiling the biographies is available here. 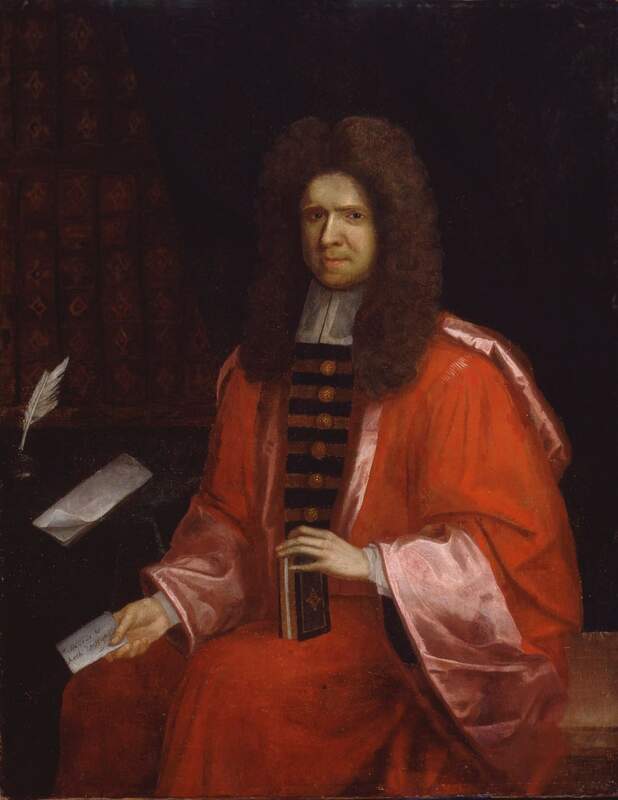 John Stearne, Professor of Medicine in Trinity College, founded the Fraternity of Physicians of Trinity Hall in 1654. In 1667 Stearne's Fraternity was incorporated as the College of Physicians of Dublin by Royal Charter and the Charter named Stearne as President for life. Abraham Yarner arrived in Ireland as a Royalist soldier and he ended his career as a Knight of the Realm, Freeman of Dublin, ‘Doctor of Physick’ and the first elected President of the College. 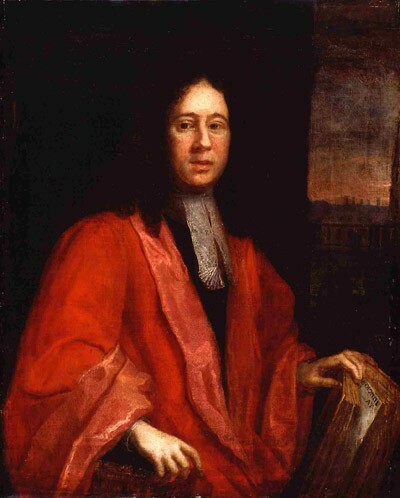 Ralph Howard was one of the fourteen Fellows named in the 1667 Charter, and one of Stearne's successors as Regius Professor of Physic in Trinity College. In 1693 Howard fought a duel with Sir Patrick Dun, another College President, the dispute is believed to have been over an appointment. 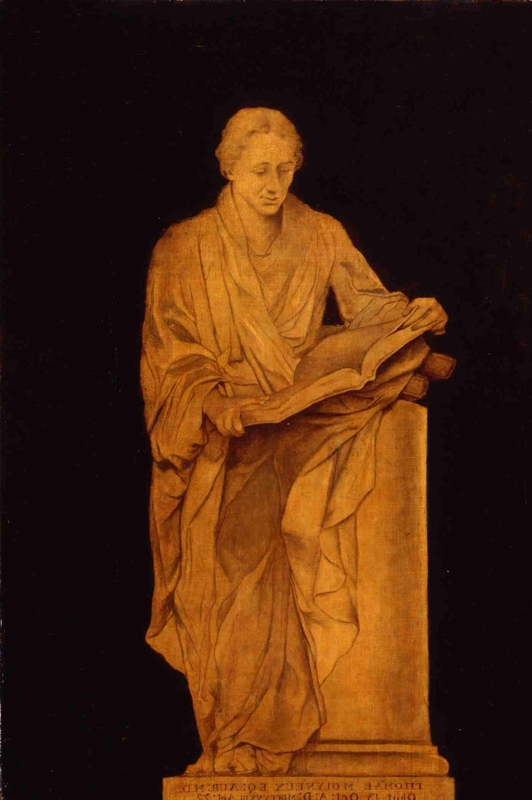 Charles Willoughby was one of the fourteen founding Fellows of the College named in the 1667 Charter. A physician and scientist, he was a founder and effectively the first President of the Dublin Philosophical Society, to which he contributed papers on mathematics and physics. 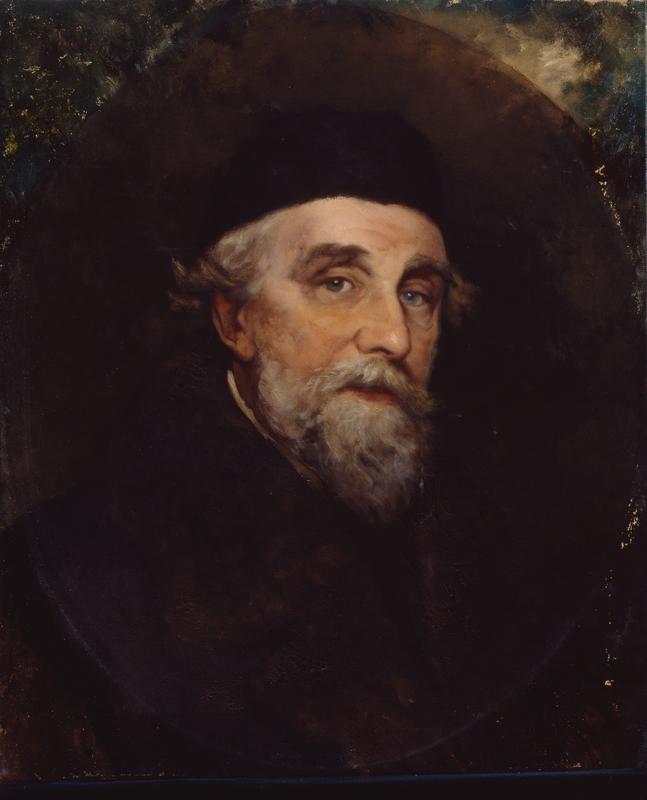 Robert Waller was one of the founding Fellows of the College named in the 1667 Royal Charter. He was also State Physician to the Lord Lieutenant of Ireland, a position he filled ‘very faithfully & with good success’. Patrick Dun was physician to King William III's armies in Ireland, and used his influence with the King to lobby for a second Royal Charter for the College, granted in 1692. 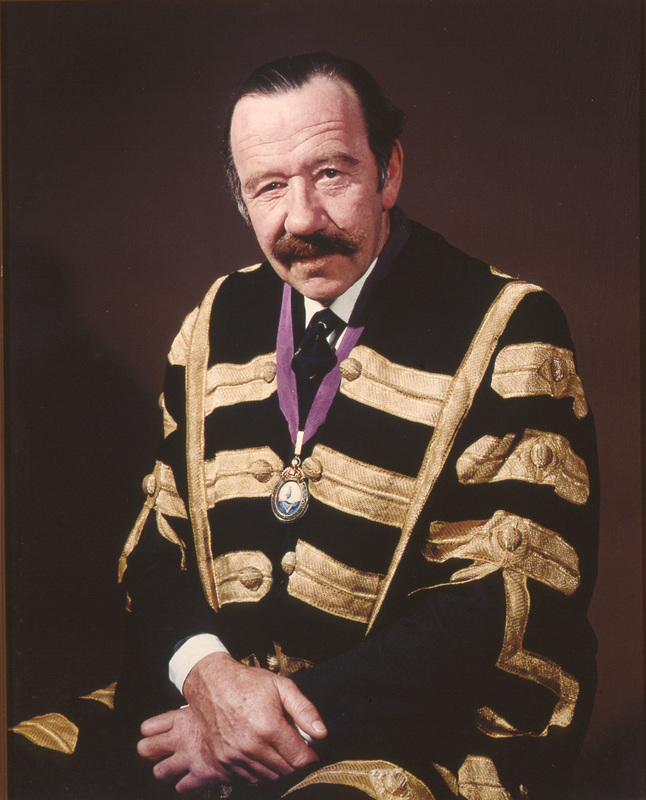 At his death Dun left a substantial trust to support the development of medical education in Ireland. 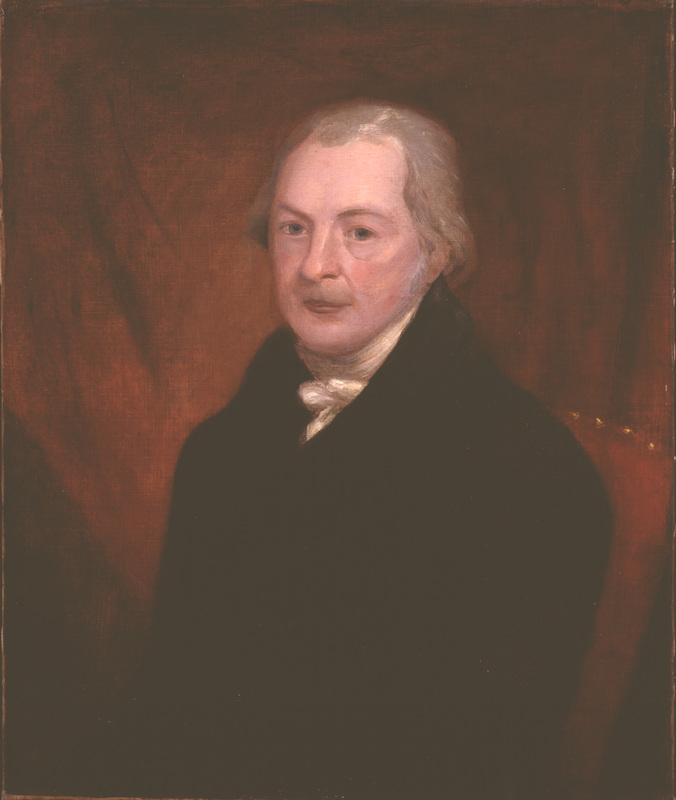 John Crosby was elected as President by the College of Physicians, but the election was not ratified by Trinity College probably because of Crosby's Catholicism. The College of Physicians refused to elect another President for three years. John Madden was named as a Fellow of the College in the 1692 Royal Charter and worked hard to expand the power of the College. He was also an antiquarian and collector of books and manuscripts. 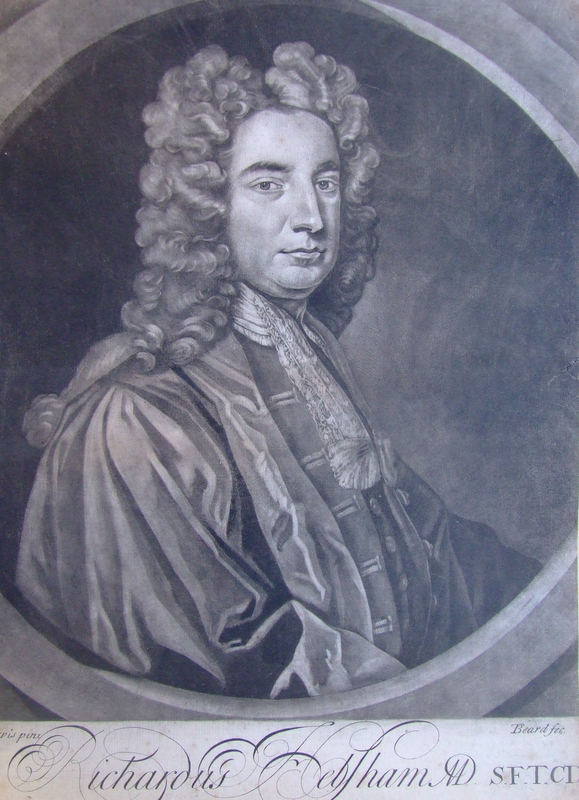 Duncan Cumings served as Physician to the Williamite armies in Ireland, and was named as one of the Fellows of the College in the 1692 Royal Charter. Physician, natural historian and antiquarian, Molyneux made many diverse contributions to knowledge during his lifetime, including a discussion of the formation of the Giant's Causeway. 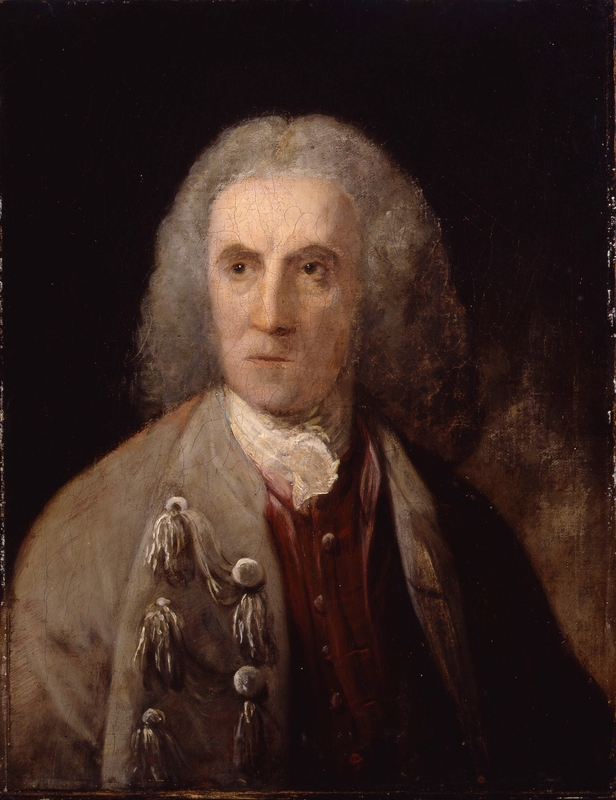 In 1730 he became Ireland's first medical baronet. 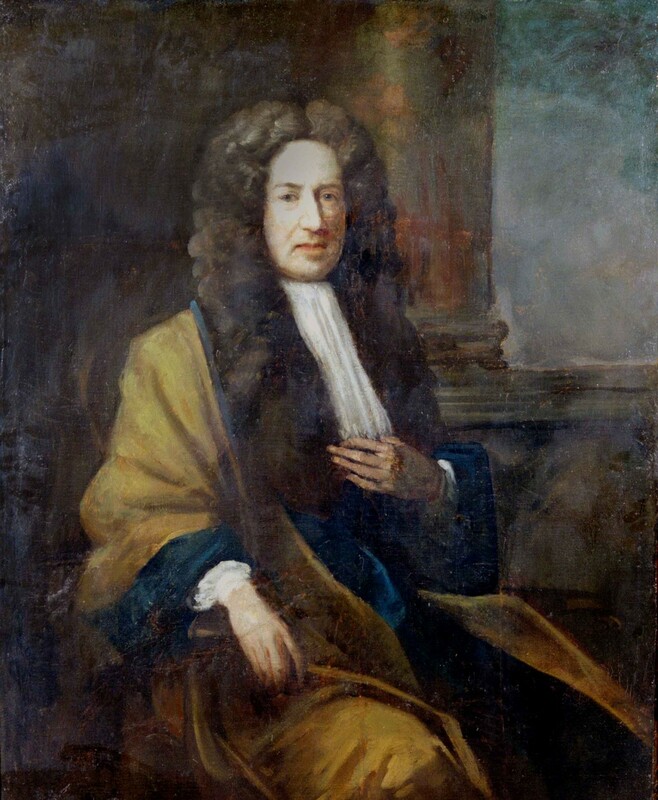 Steevens was named a Fellow of the College in the 1692 Charter, and was also Professor of Physic in Trinity College. He is now remembered for the hospital founded in his name and at his bequest, by his twin sister Grizell. William Smyth was one of the 12 Fellows named in the 1692 Royal Charter granted to the College. He is probably best remember for his friendship with Jonathan Swift. 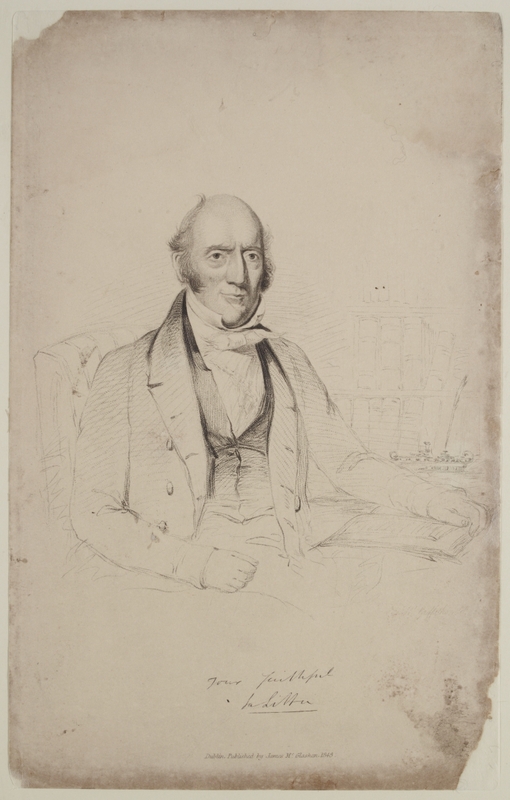 Robert Griffith was the first Professor of Chemistry and first King's Professor of the Practice of Medicine in the School of Physic in Trinity College. He is credited with establishing the study of chemistry in Trinity College. Patrick Mitchell was a nephew of Sir Patrick Dun, whose influence probably brought Mitchell to Ireland. After his uncle's death in 1713 Mitchell was involved in the length and acrimonious dispute over Sir Patrick's will. Read the fill biography of Patrick Mitchell. 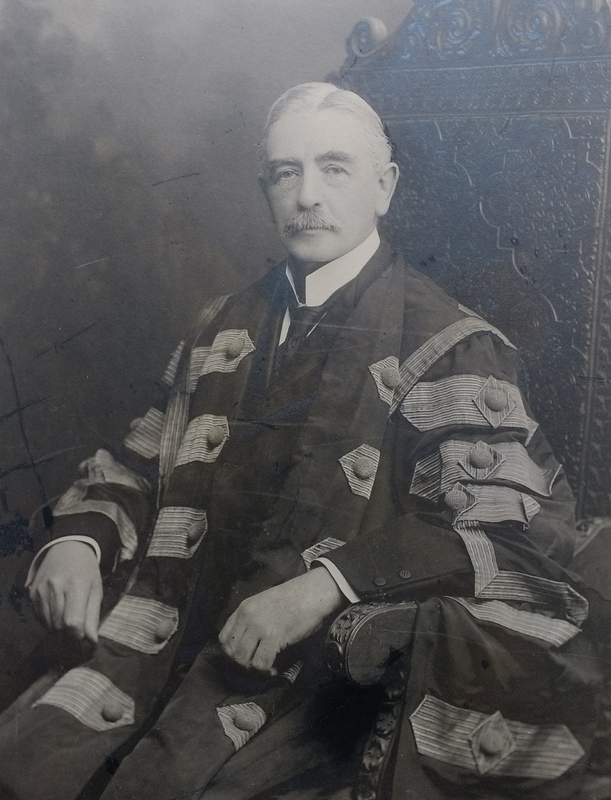 James Grattan was King's Professor of Physic in Trinity, who campaigned to reform and modernise medical teaching in Dublin. A member of a prominent family in eighteenth century Ireland, he was also a friend of Jonathan Swift. Richard Hoyle was a proponent of the study of anatomy and carried out at least one dissection on warrant of the College, whose right to perform dissections was granted by the 1692 Charter. 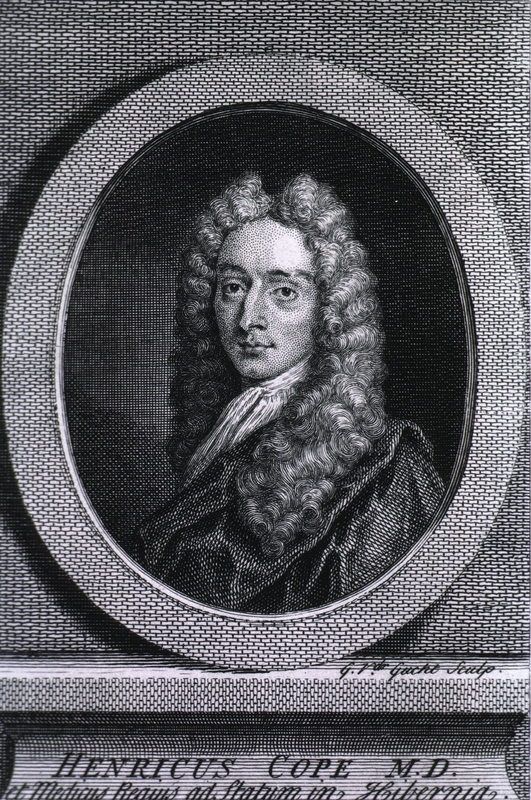 Hoyle became the first Lecturer in Anatomy and Surgery in the new medical school of Trinity which opened in 1711. Richard Helsham lectured in natural philosophy at Trinity College, publishing Course of Lectures on Natural Philosophy which remained in use as a textbook for a century. He was physician to Jonathan Swift who described him as 'an ingenious good-humoured physician, a fine gentleman, an excellent scholar’. Samuel Jemmat was involved in one of the strangest legal cases of the early 18th century, that of James Annesley. The life story of James Annesley is said to have been the inspiration behind the novel Kidnapped by Robert Louis Stephenson. 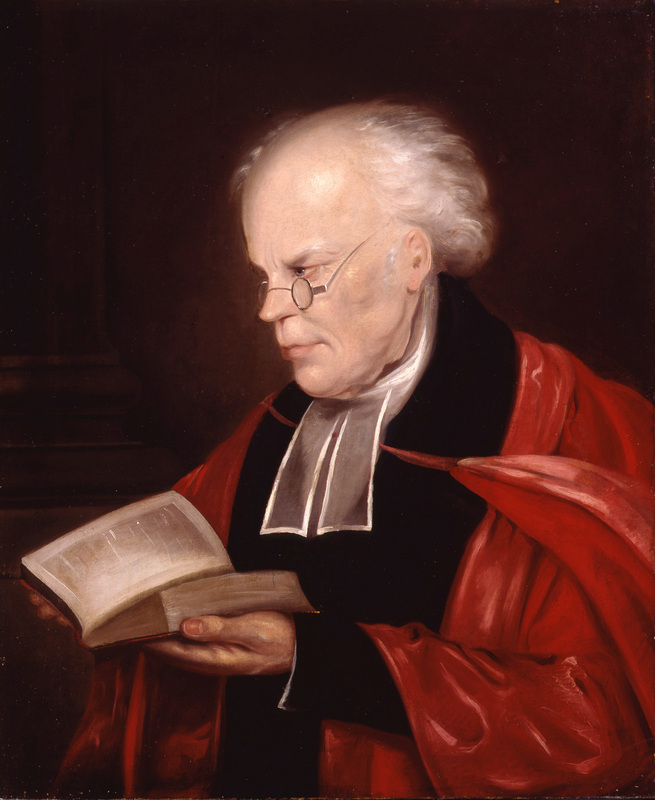 Henry Cope was State Physician, Governor and Physician of Dr Steevens' Hospital and Professor of Physic, Trinity College. His daughter's scandalous elopement was recorded in the correspondence of Jonathan Swift. 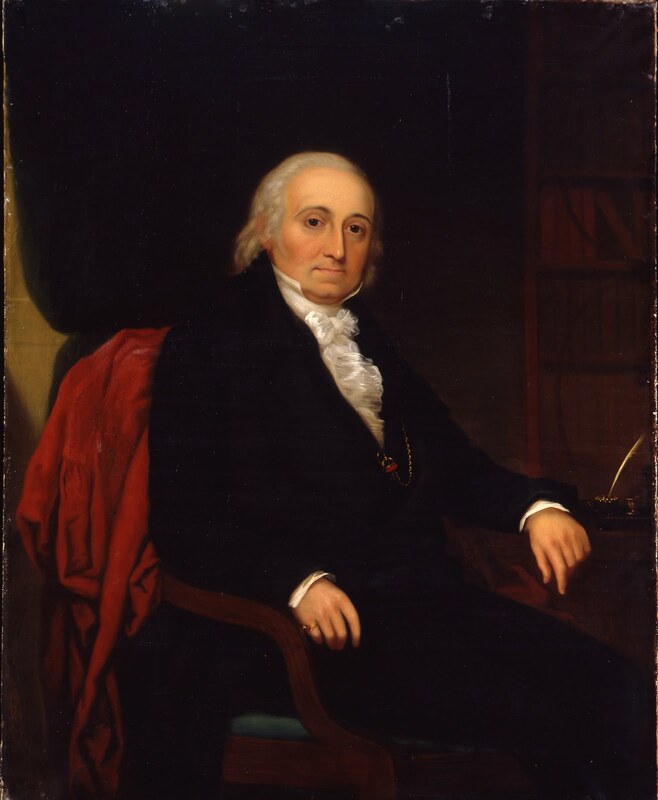 Francis LeHunt was one of the founders, and first Physician, at Mary Mercer's Hospital. When he inherited a fortune from his brother and he 'retired from the business of his profession and enjoyed his friends with a cheerfulness and good nature’. Samuel Arnoldi was a physician in private practice in Dublin who seems to have some connection to Matthew and Letitia Pilkington. 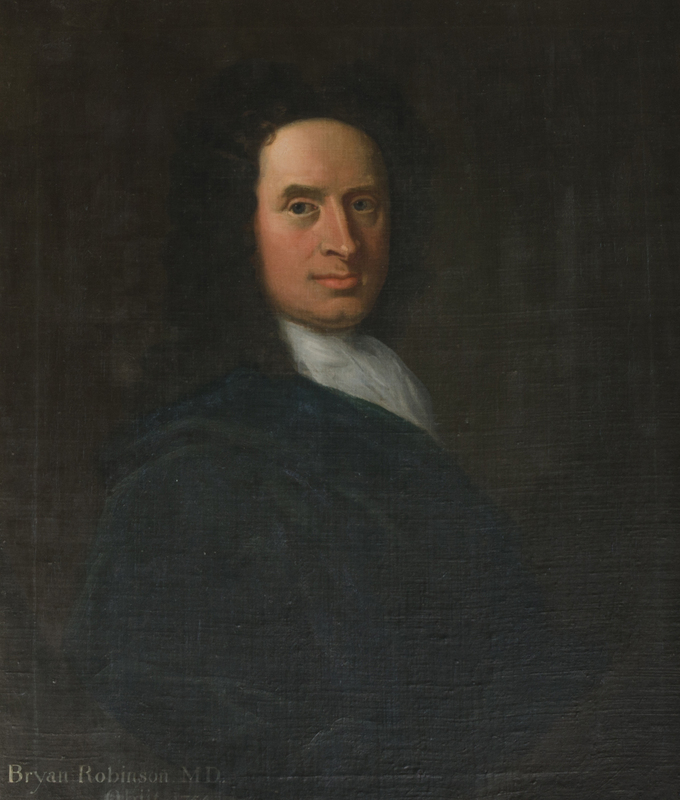 Thomas Madden was probably the son of John Madden, President of the College of three occasions in the 1690s. Thomas Madden was educated in Trinity and practised in Dublin. 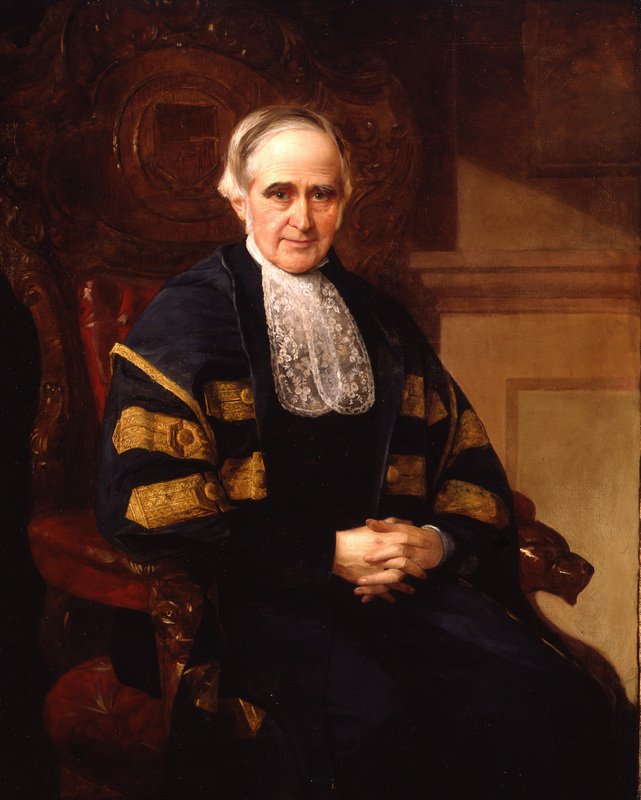 During his Presidency the College awarded their Licentiate in Midwifery to a Mrs Cormack, the first women to receive a qualification from the College. Alexander McNaughten was Medical Officer to the Blue Coat School in Dublin, a philanthropist, MP and founding member of the Royal Dublin Society. 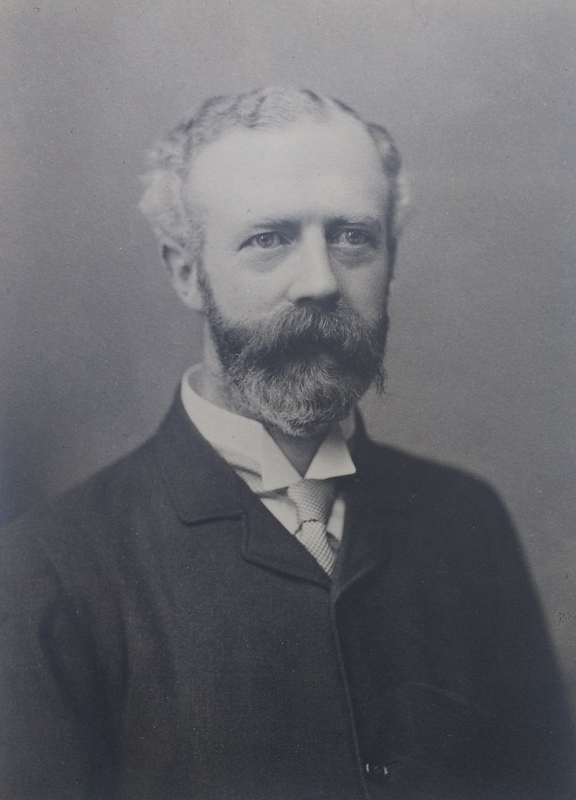 William Stephens was Physician to Mercer's and Dr Steevens' Hospitals. Of extensive intellectual interests he lectured in botany and chemistry in Trinity College and was a founder member of the Royal Dublin Society. 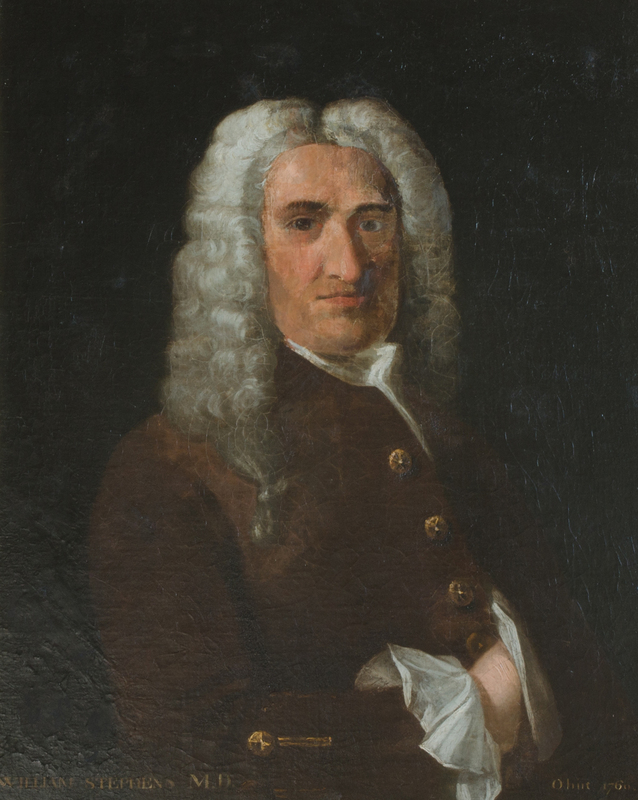 John Van Lewen was Dublin's leading 'man-midwife' in the early decades of the eighteenth century. He was the father of celebrated authoress Laetitia Pilkington. 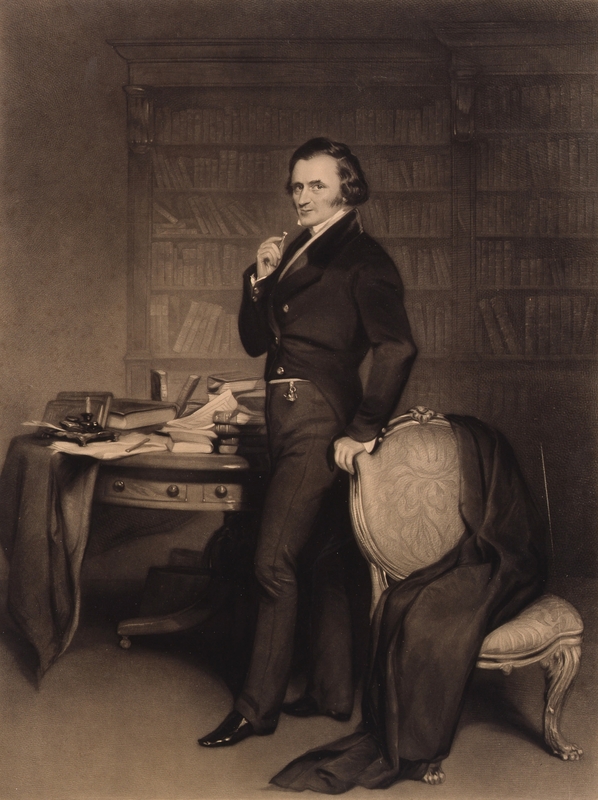 John Hemsworth was born in Birr, Co. Offaly, and educated at Trinity College, Dublin. Little is know of his professional life. Thomas Kingsbury was physician to several leading Irish families and 'typified the style and habits of a prosperous practitioner'. His great great grandson was Oscar Wilde. Patrick Hewetson studied at Trinity College Dublin and Leiden University, before setting up in practice in Dublin. In his will he left a bequest to establish a charitable school, which is still in existence. 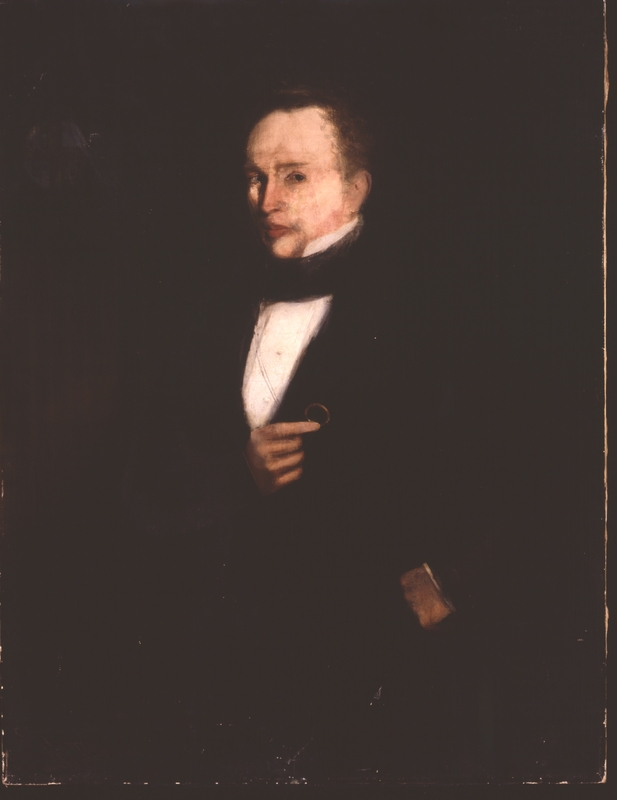 Born in Limerick, Edward Smyth studied and worked in Dublin, where he was a governor of Dr Steevens' Hospital. At his death he was described as 'a gentleman whose abilities in his profession was only excelled by the eminent virtues of his mind’. Robert Robinson was Lecturer in Anatomy in Trinity College, when he carried out the dissection of the Irish giant Cornelius Magrath. 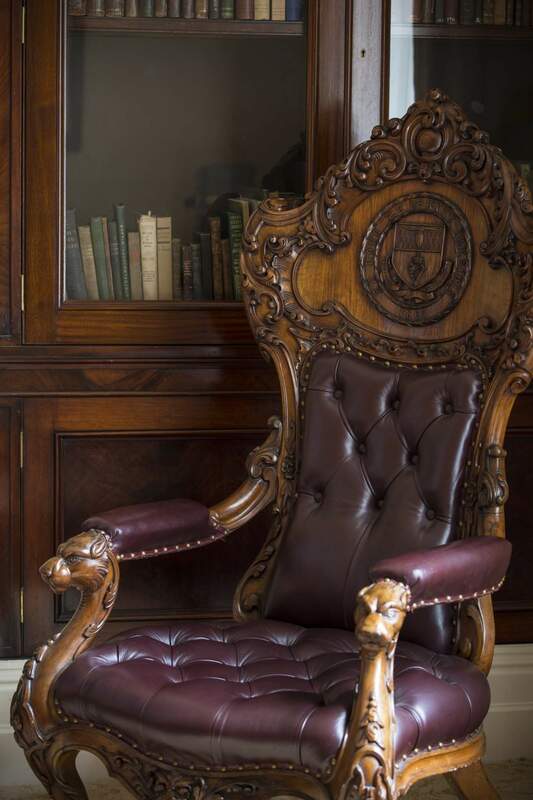 Robinson was dismissed from this post in Trinity following a dispute between Trinity and the College of Physicians during his second term as President. 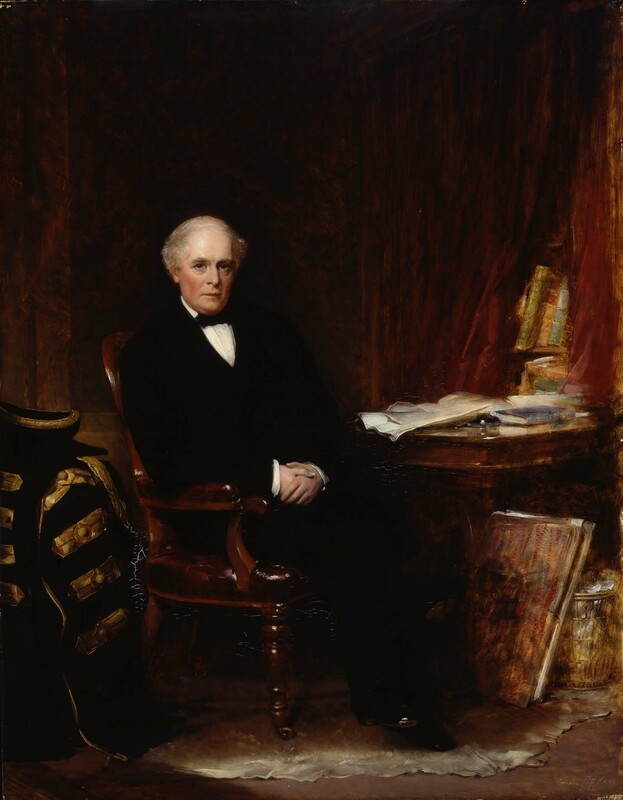 Sir Edward Barry, was born in Cork, a county he later represented as MP. A dispute in the 1750s led Barry to resign his Trinity Professorship and Fellowship of the College of Physicians, he moved to London where he established a new practice. 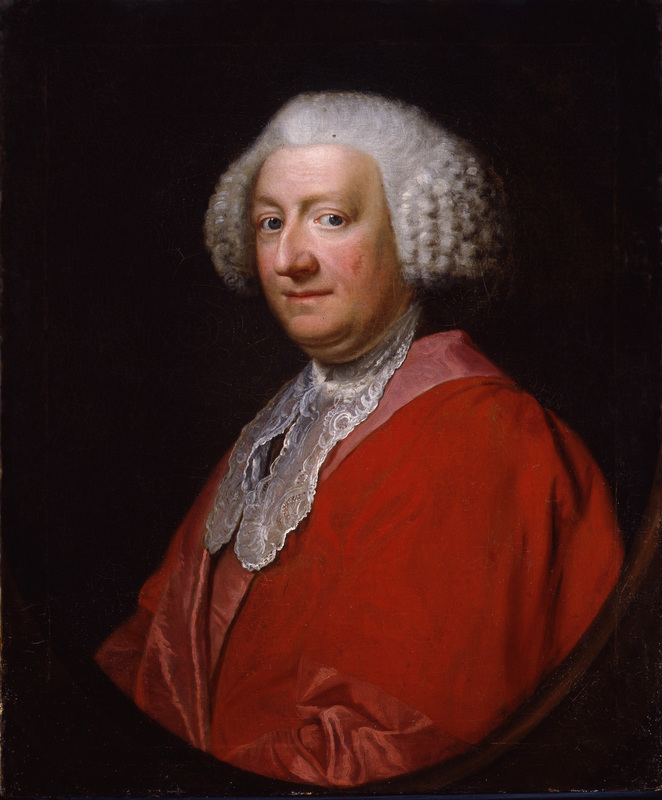 Thomas Lloyd studied medicine at Trinity College, Dublin, becoming a Fellow of the College of Physicians in 1740. As Censor of the College he examined candidates in surgery and obstetrics. Ezekiel Nesbitt was physician to the Dublin Lying-in (Rotunda) Hospital until he left Ireland in the 1760s and settled in Bath. Constantine Barbor was born in Dublin, the son of the poetess Mary Barber. 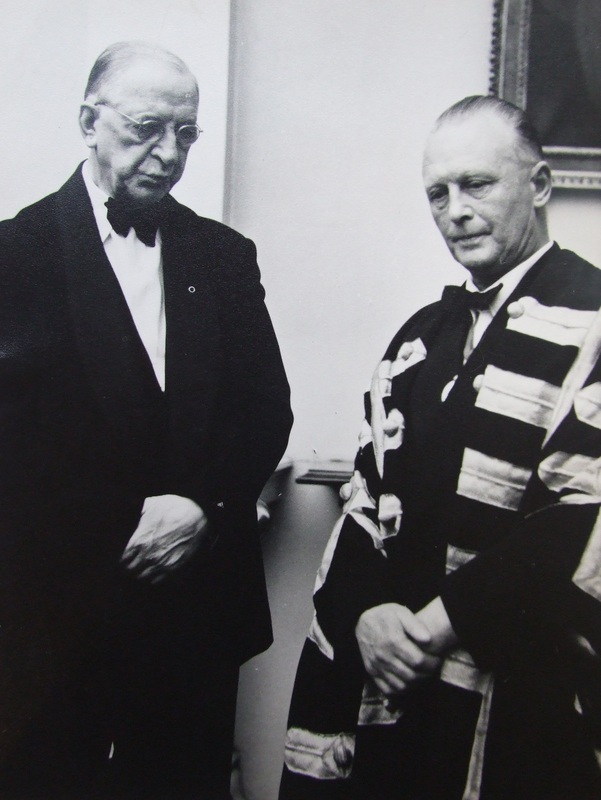 Barbor held a number of appointments to Dublin hospitals and was King's Professor of Materia Medica and Pharmacy in Trinity College. 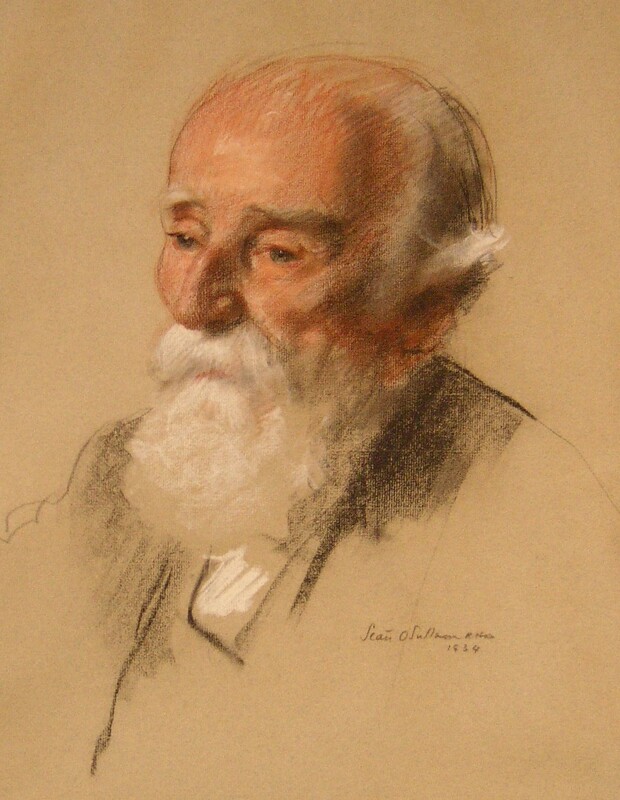 Born in Ireland Anthony Relhan studied at Trinity, and initially practised medicine in Dublin. Interested in hydrotherapy and alternative medicine he is remembered not for his work in Ireland, but for popularising Brighton as a health resort. Little is known of Richard Wood beyond his education at Trinity College, and his election as President of the College on two occasions. 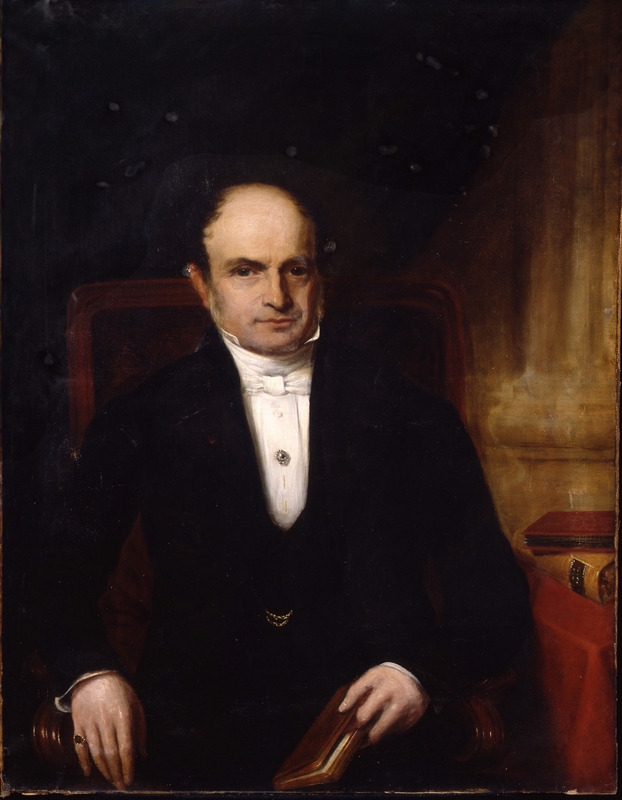 Henry Quin was King's Professor of Physic in Trinity College and had an extensive private practice. Quin was an accomplished musician and a generous patron of the arts. Nathaniel Barry was the son of Sir Edward Barry another President of the College. 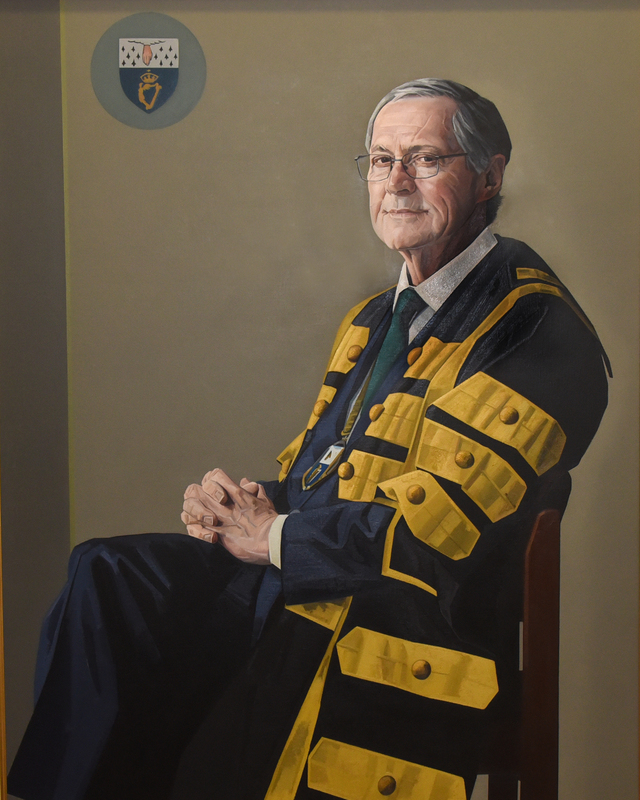 Nathaniel was the first King's Professor of Chirurgery and Midwifery in Trinity College, and held the joint appointment as Physician General to the forces in Ireland with his father. Edward Hill was Lecturer in Botany and Regius Professor of Physic in Trinity College who campaigned, unsuccessfully, for the income from the Dun's Trust to be spent on a Physic Gardern. Hill compiled one of the earliest surviving catalogues of Dun's Library. 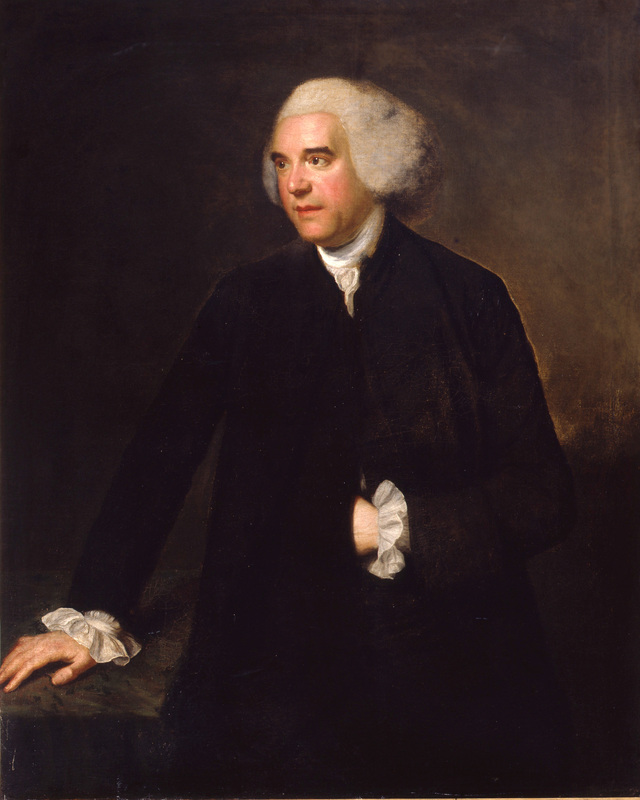 Arthur Saunders were educated in Trinity College, becoming a Fellow of the College of Physicians in 1777. Little else is know of his career. Francis Hopkins was Master of the Rotunda Hospital, whose Mastership was dominated by a lack of trained Midwives and patient overcrowding. Born in Enniskillen, Patrick Plunket was educated at Trinity College, Dublin and Edinburgh University. He practised in Dublin, where he younger brother was Lord Chancellor of Ireland. Edmund Cullen was a scholar and physician who used his knowledge of chemistry and physics to translate translated Torbern Bergman’s Physical and Chemical Essays into English. 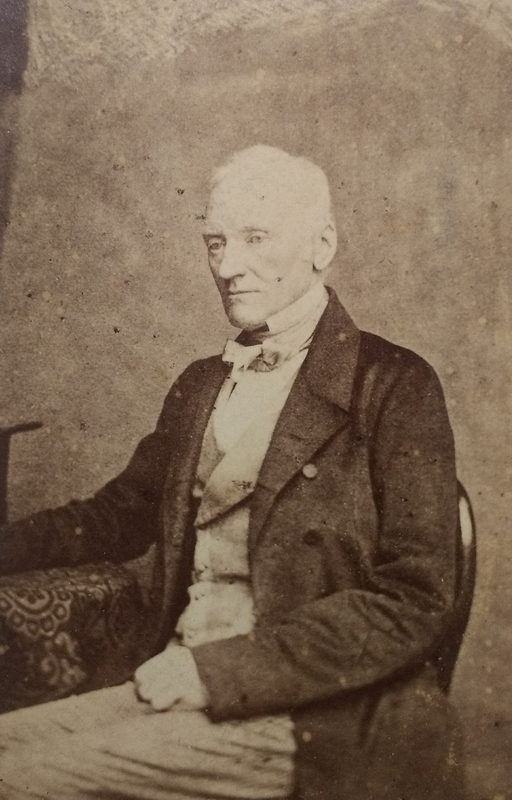 James Cleghorn was Professor of Anatomy in Trinity College and also State Physician and physician to St Patrick's Hospital. He championed gentler, more humane treatments for patients with mental illness. 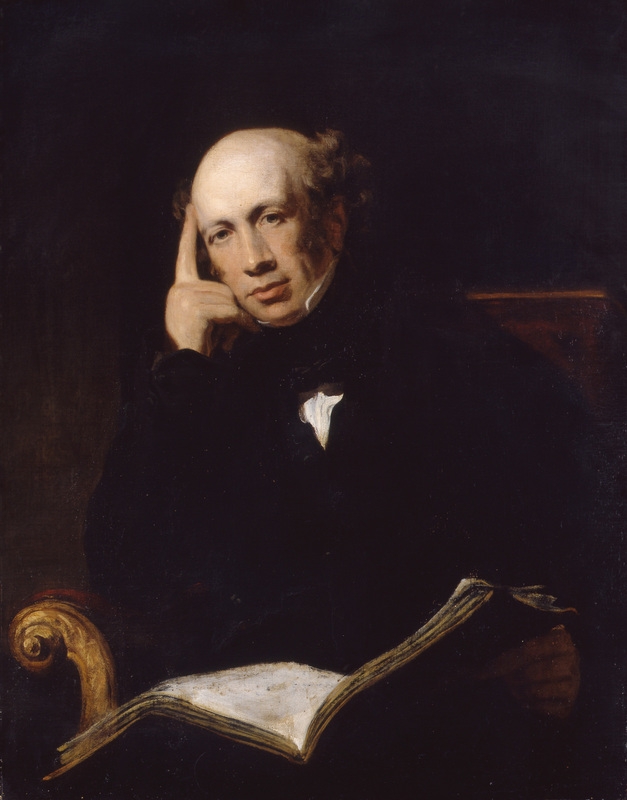 Thomas Orpen was a physician and philanthropist who was a member of a number of charitable societies. He was a member of the committee which drew up the first Dublin Pharmacopeia. Anthony Gilholy was born in Tipperary. He studied medicine at Trinity College Dublin, and seems to have specialised as a practitioner in midwifery. 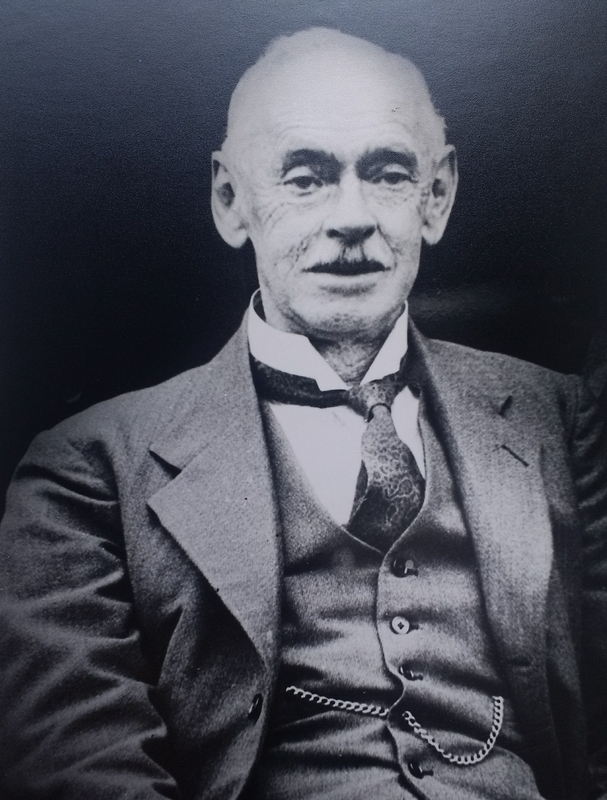 Interested in infectious diseases Hugh Ferguson worked at the Hardwicke Fever Hospital, where he helped convince the board to establish a School of Medicine. Robert Bredin was educated at Trinity College Dublin and Edinburgh University. He was elected President of the College in 1822. 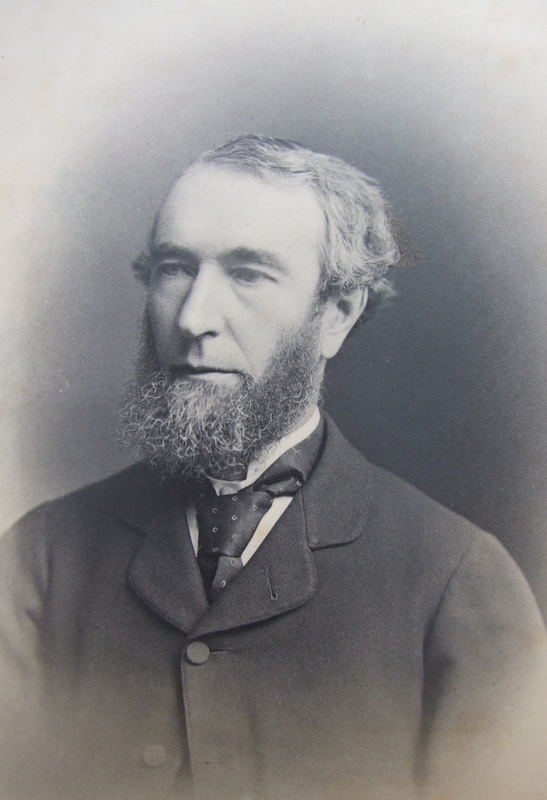 Samuel Litton was greatly interested in botany, he was Librarian and Professor of Botany at the Royal Dublin Society and promoted the National Botanic Gardens at Glasnevin. 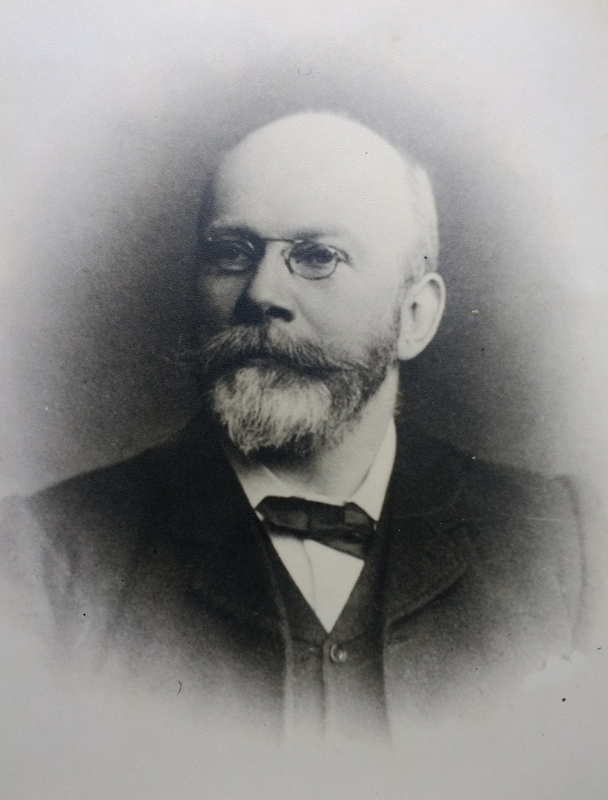 John O'Brien was physician at the Cork Street Fever Hospital and lecturer in medicine in the Moore Street School. 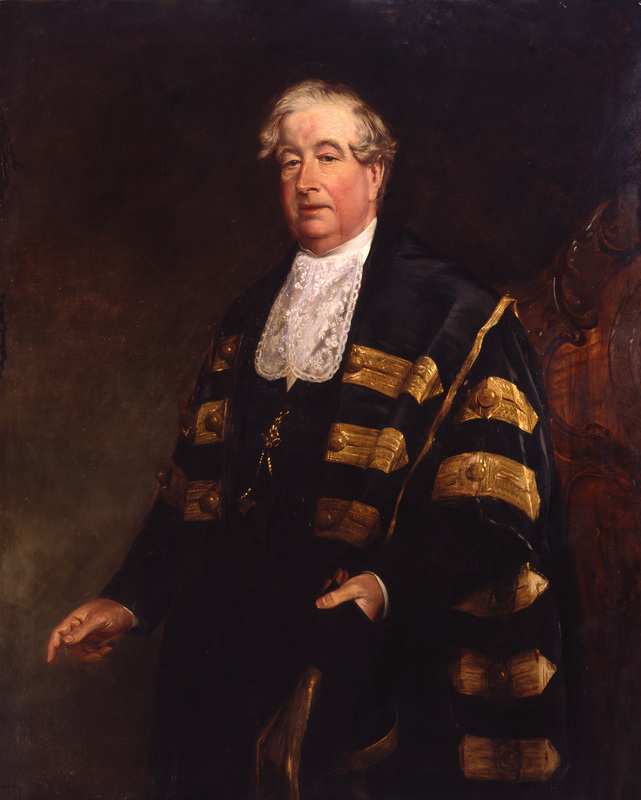 William Brooke founded the Association of Licentiates and Fellows of the King and Queen’s College of Physicians in Ireland ‘for the purpose of more intimately uniting the members of the College, and for the advancement of Medical Science’. Jonathan Osborne was a leading nephrologist and excellent lecturer. Osborne suffered from chronic rheumatism, in his will he requested to be buried standing up, so as not to be at a disadvantage on the day of judgement. 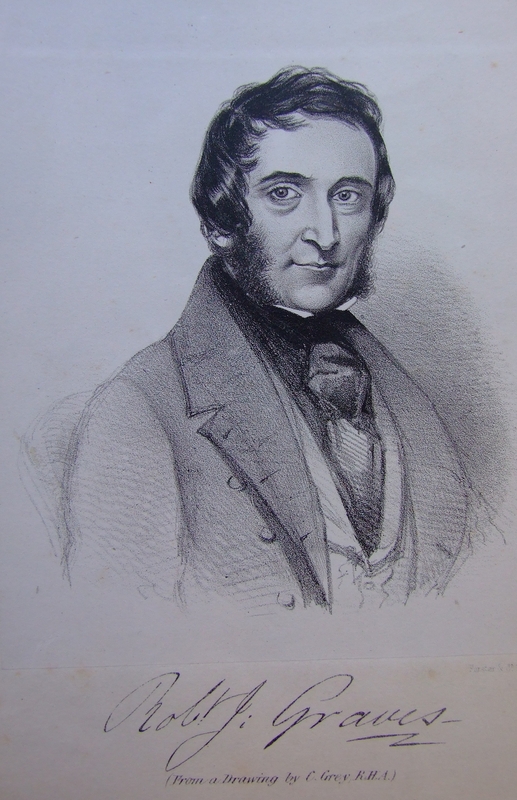 Croker was Physician and Governor of Dr Steevens' Hospital, he was also physician to the Rotunda, the Hospital for Incurables and St Patrick's Hospital. George Kennedy was Physician to Cork Street Fever Hospital and the Sick Poor Dispensary, Meath Street. As Registrar Kennedy undertook the herculean task of indexing the early minute books of the College. 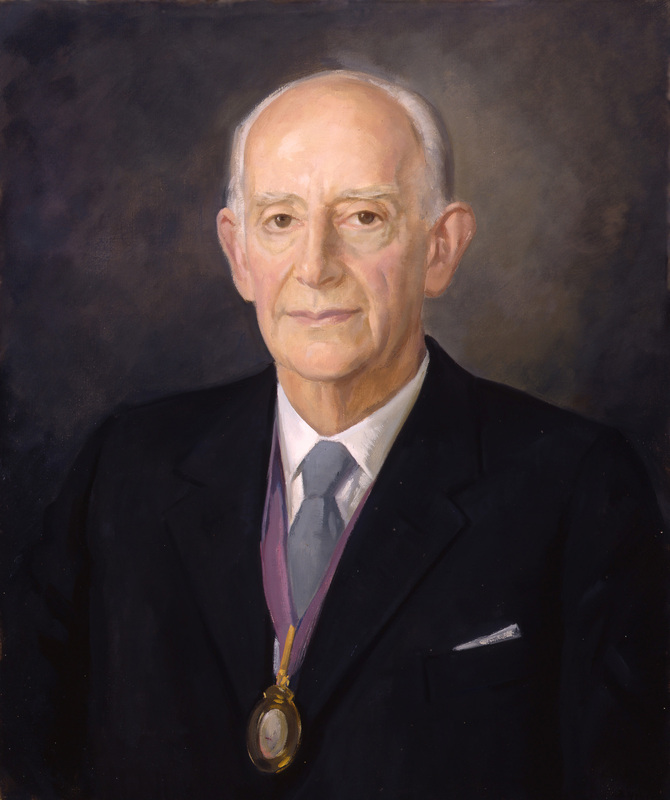 Sir Henry Marsh was one of the founders of a hospital for sick children, which became the National Children's Hospital. Robert Graves was Physician to the Meath Hospital and King’s Professor in the Institute of Medicine in Trinity. Graves co-founded the Dublin Journal of Medical Science and was an early describer of the eponymous Graves' disease. 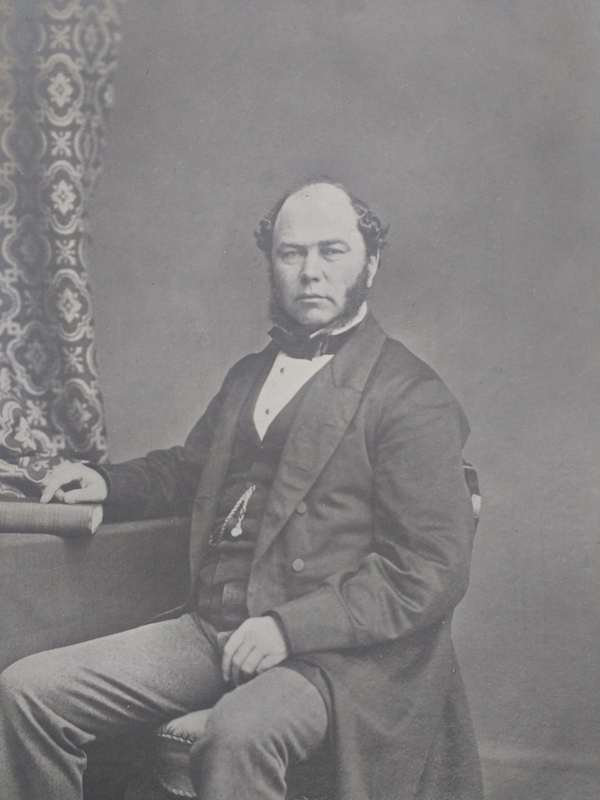 Robert Collins was the Master of the Rotunda Hospital responsible for the continued drive to reduce maternal mortality in the hospital by stressing cleanliness and adequate ventilation. 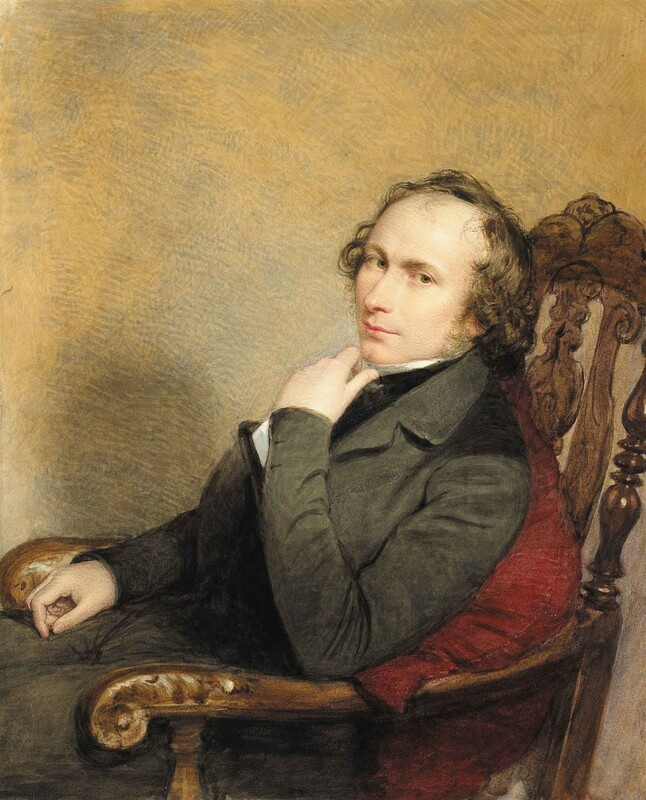 Portrait of William Stokes by Sir Frederic William Burton. 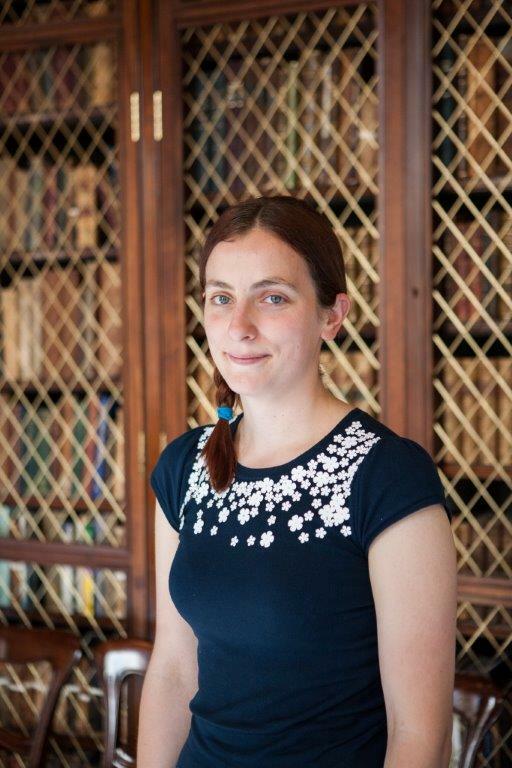 Image courtesy of The Board of Trinity College Dublin. 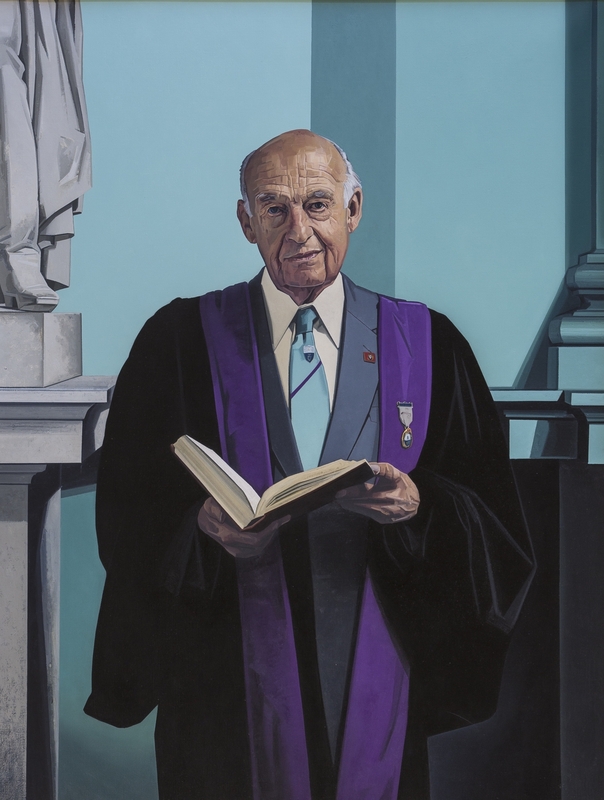 Evory Kennedy was an obstetrician and Master of the Rotunda, whose work on reducing deaths from puerperal fever was recognised by Ignaz Semmelweis. 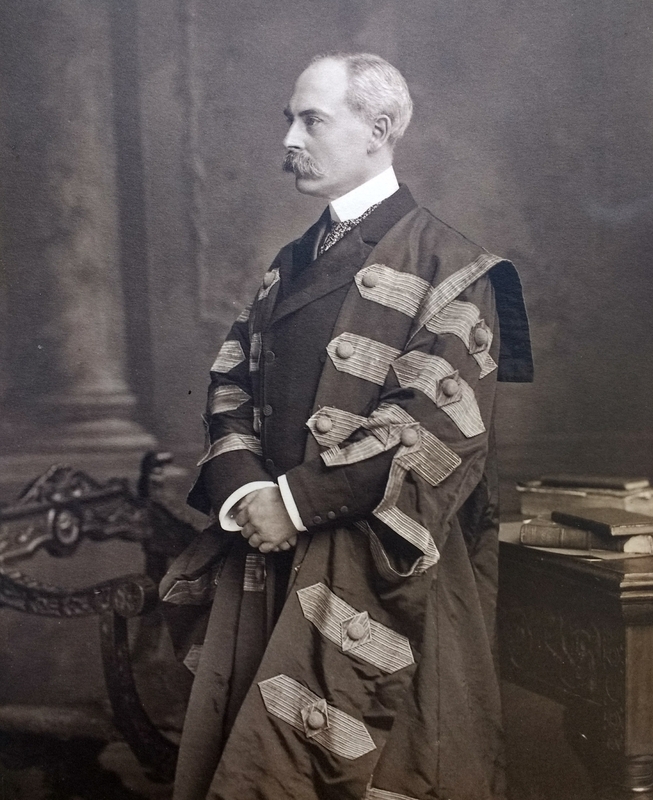 John Mollan was Physician Extraordinary at the Richmond Asylum in Grangegorman and was especially interested in the wellbeing and education of asylum patients. 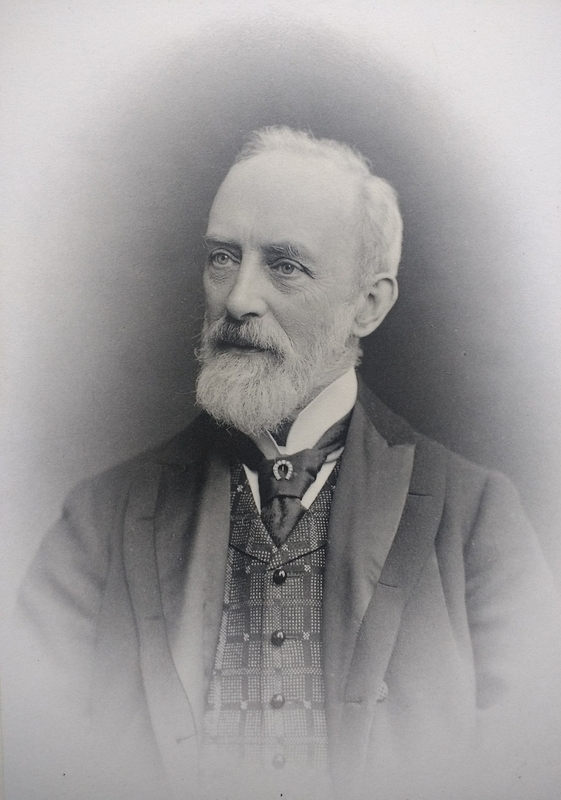 Sir Dominic Corrigan was one of the outstanding Irish physicians, particularly remembered for his studies of haemodynamics. 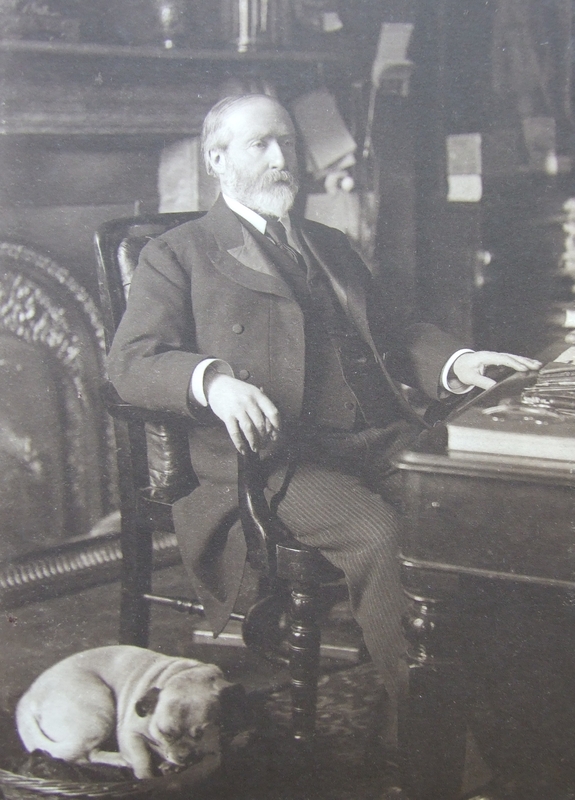 Corrigan was the President who oversaw the College's move to 6 Kildare Street. 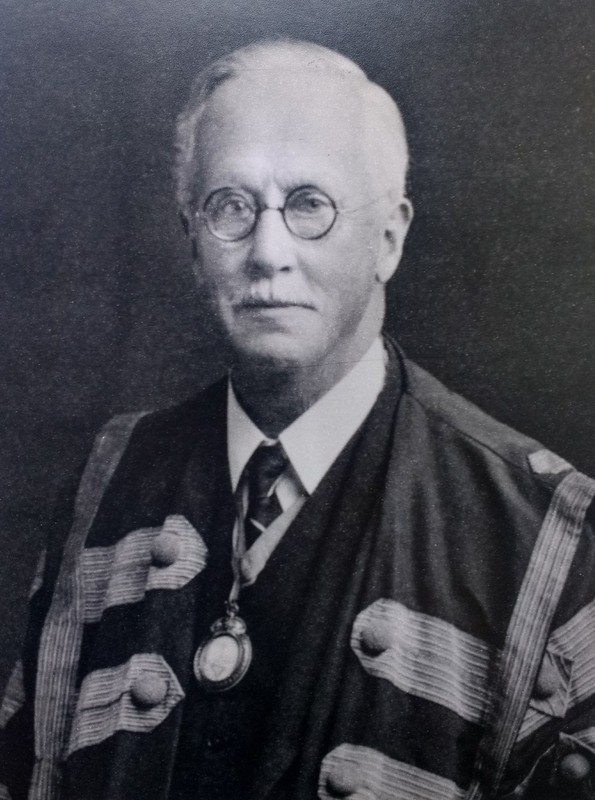 Thomas Edward Beatty, obstetrician and gynaecologist, is the only man to have been President of both the Irish College of Physicians and Surgeons. 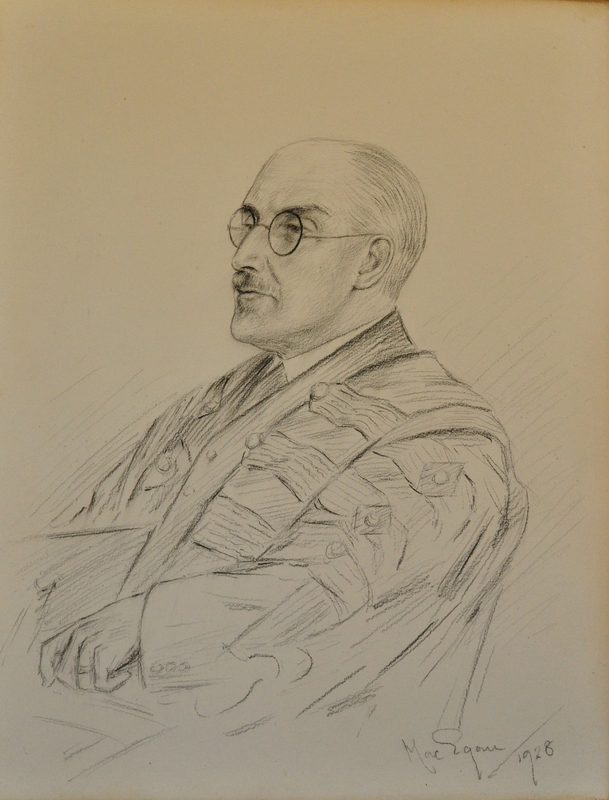 Fleetwood Churchill was a leading obstetrician and King’s Professor of Midwifery in Trinity. A prolific lecturer and writer, Churchill was also a pioneer of sanitary reform and founder of the Dublin Sanitary Association. 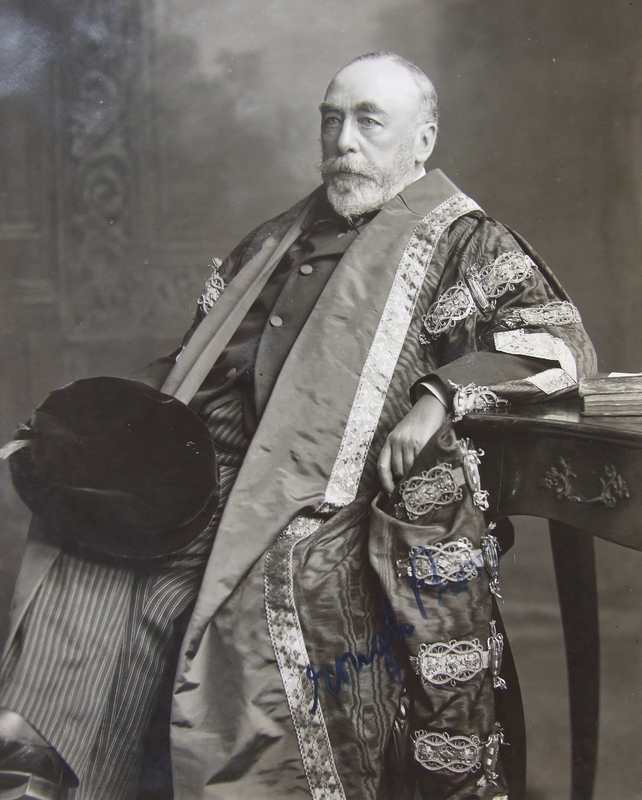 Sir John Thomas Banks was Visiting Physician to the Richmond Lunatic Asylum and Regius Professor of Physic in Trinity College. He was retrospectively credited with promoting the teaching of modern psychiatry. 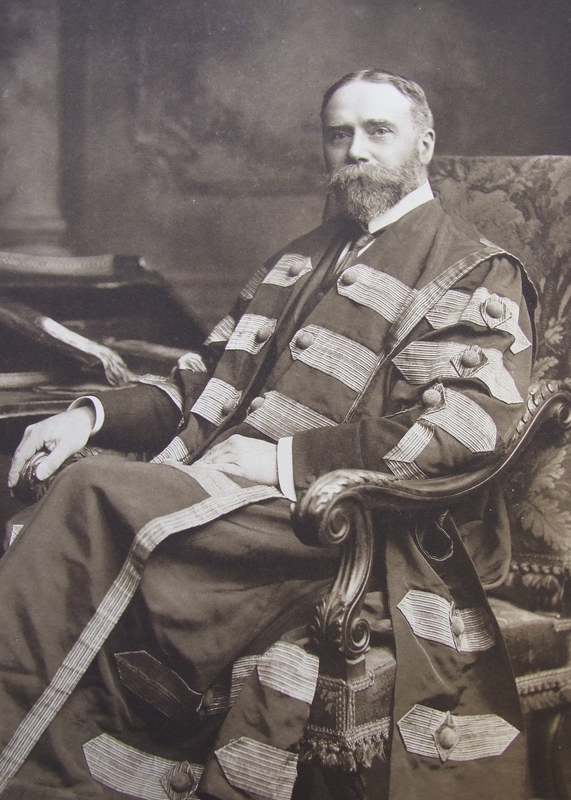 Alfred Hudson was Physician to the Adelaide and Meath Hospitals, Physician in Ordinary to the Queen in Ireland and Regius Professor of Physic at Trinity College. 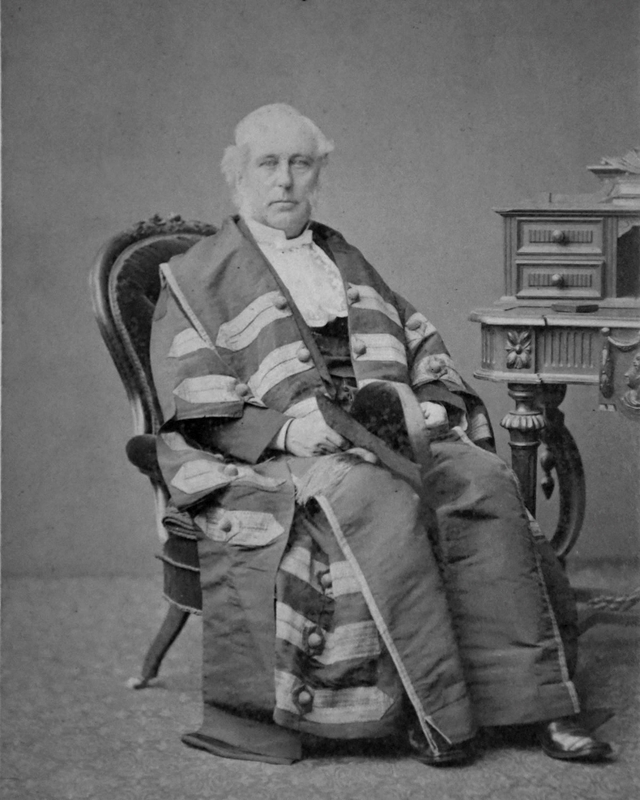 Hudson was the first President of the Dublin Branch of the British Medical Association. 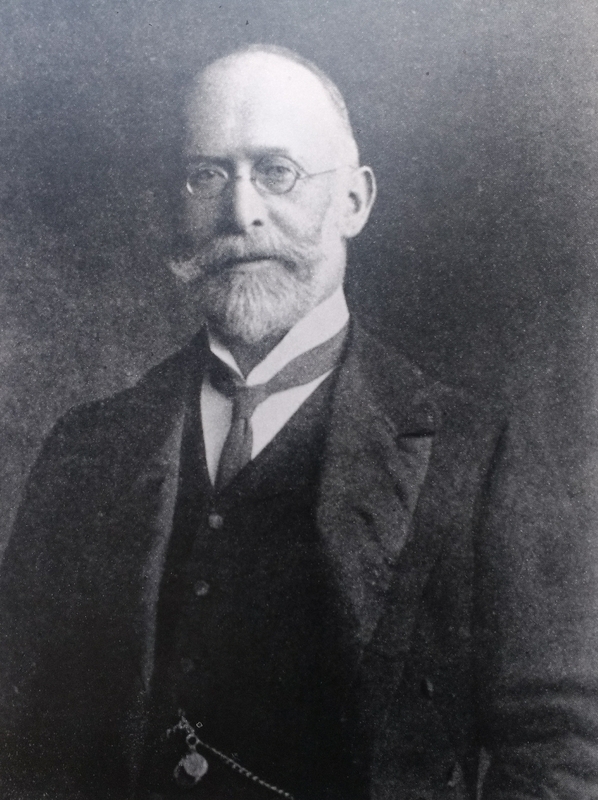 James Duncan was proprietor of the private asylum at Farnham House, Finglas and President of the Medico-Psychological Association. Samuel Gordon was a physician and Lecturer. He was President of the College when the decision to allow women to take the College's exams was made. 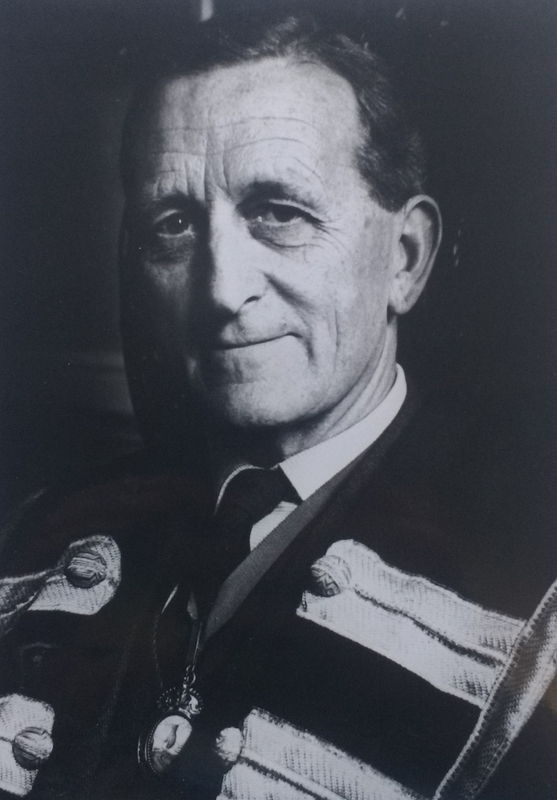 George Johnston was the Master of the Rotunda Hospital who advocated the use of midwifery forceps. 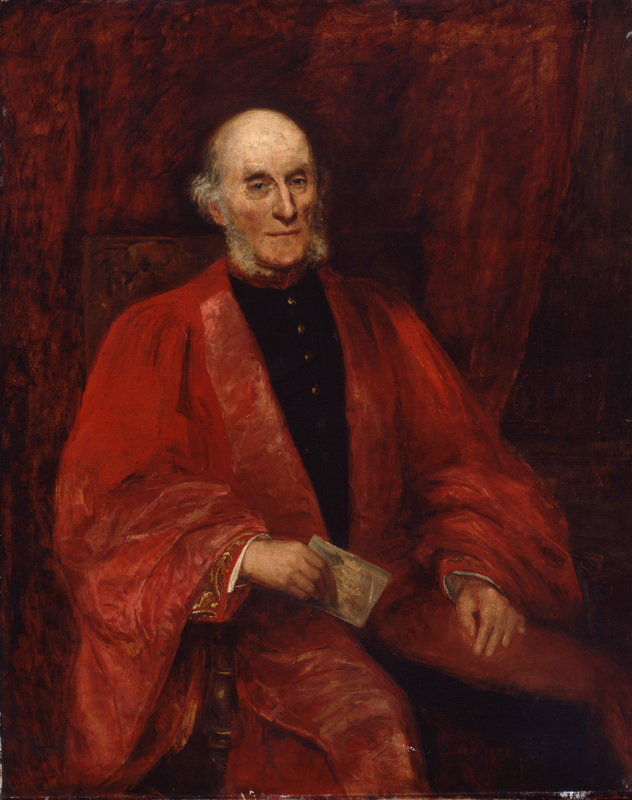 William Moore was King’s Professor of the Practice of Medicine in Trinity and Physician to Sir Patrick Dun’s Hospital. 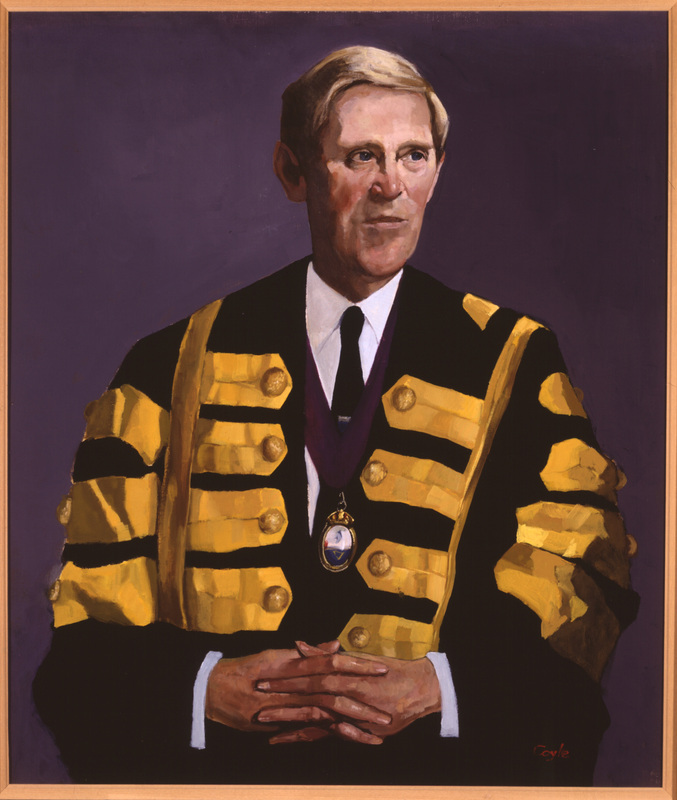 Moore was actively involved with the BMA, and was Ireland's representative of the General Medical Council for 10 years. 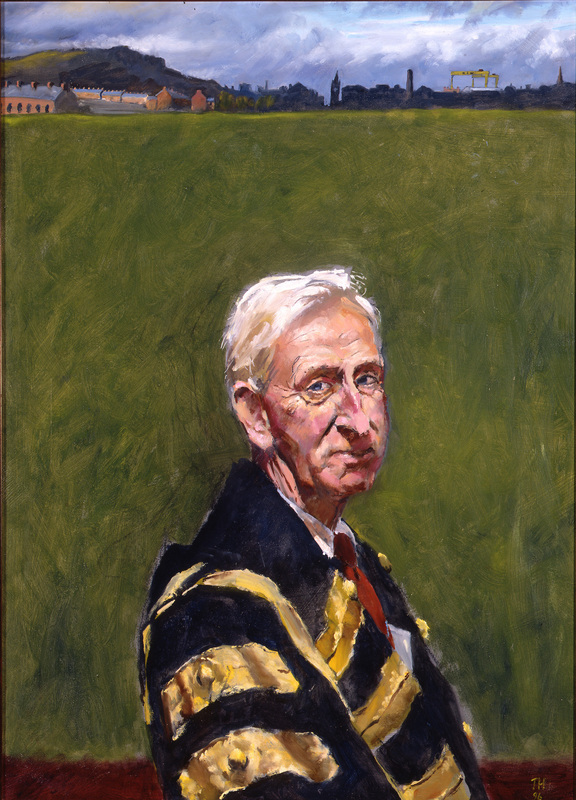 James Little was a dedicated lecturer at the Ledwich School and then as Professor of the Practice of Medicine in RCSI. He was the Crown's representative for Ireland on the General Medical Council and Honorary Physician to three successive sovereigns in Ireland. Preferring to be known by his professional title, he declined the honour of a knighthood. Lombe Atthill was the Master of the Rotunda who introduced blood transfusion in the treatment of post-partum haemorrhage. 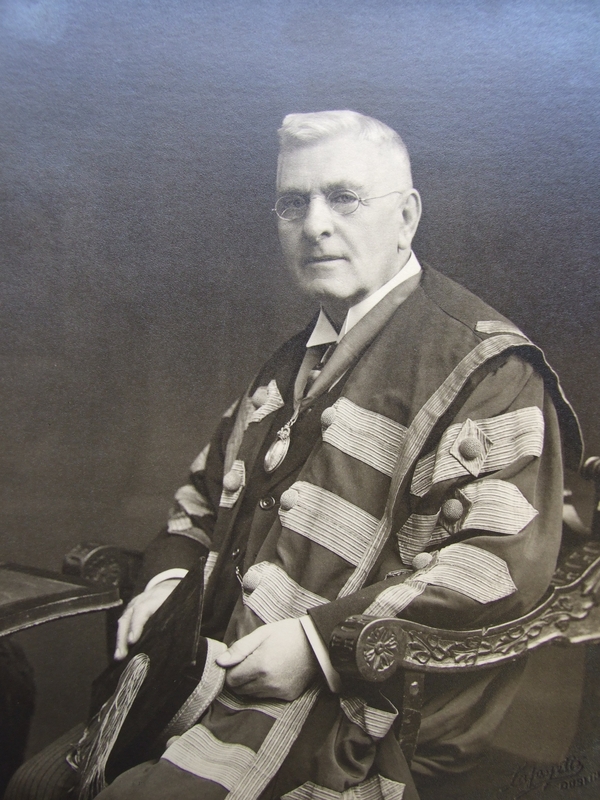 John Magee Finny held a number of appointments in Dublin, including physician to Sir Patrick Dun's Hospital and King's Professor of Medicine in Trinity where he was a popular lecturer. 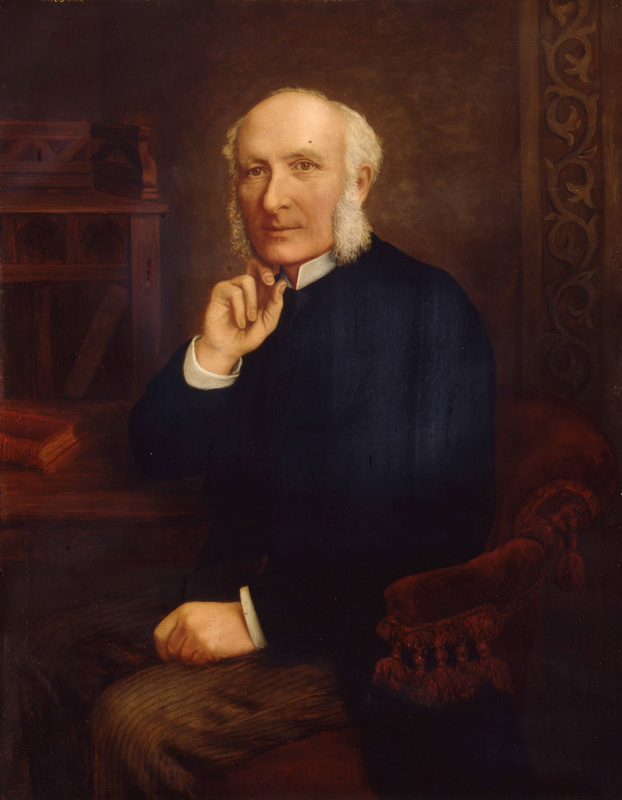 Sir George Duffey was founder of the Irish Hospital Gazette and was Physician to Mercer's and City of Dublin Hospitals. 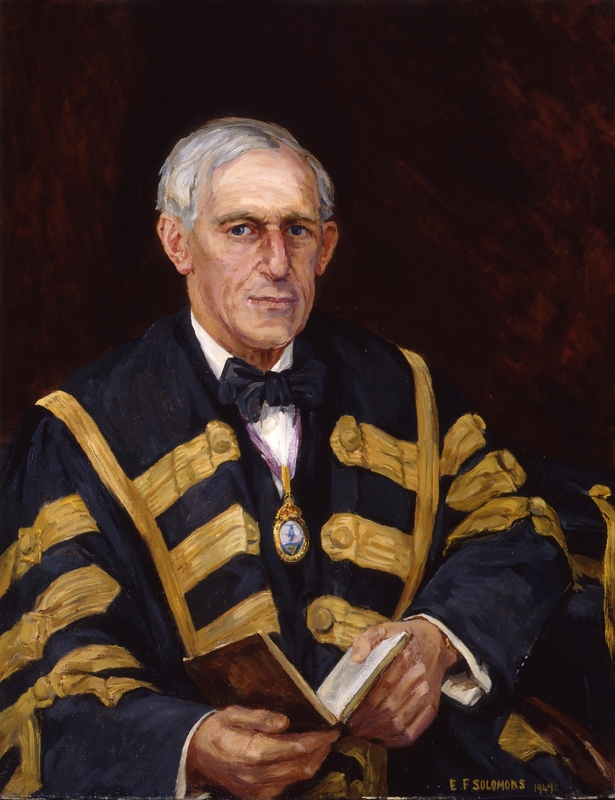 He was actively involved in the reform of Dublin's medical schools. 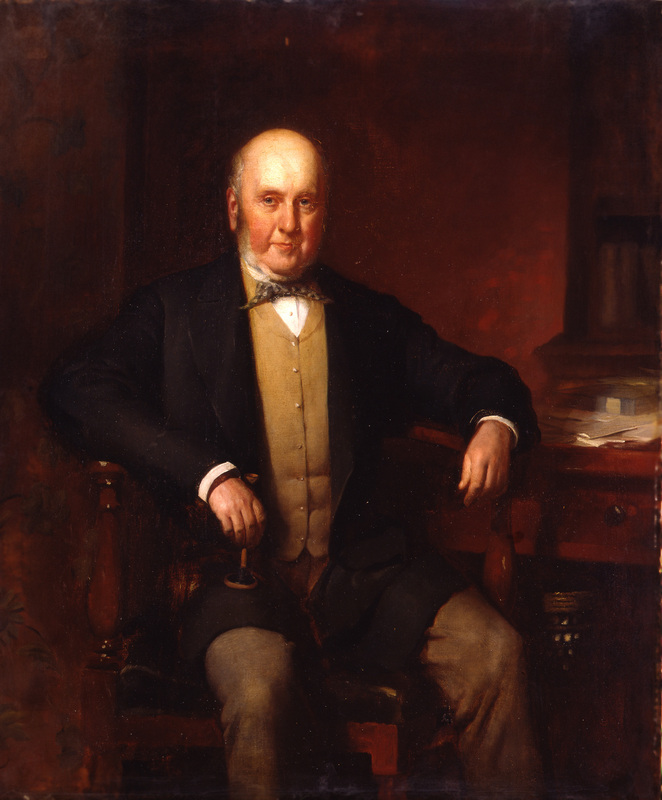 Sir John William Moore was a distinguished physician, public health expert and meteorologist. 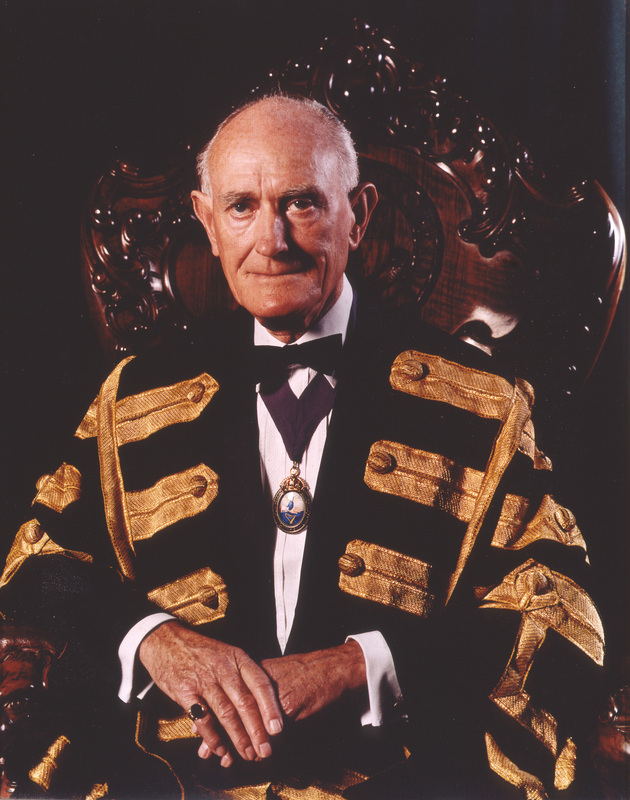 Sir Christopher Nixon was Physician to the Mater Hospital and Professor of Medicine at the Cecilia Street School. Nixon was instrumental in the development of the School and its eventual incorporation into University College Dublin. 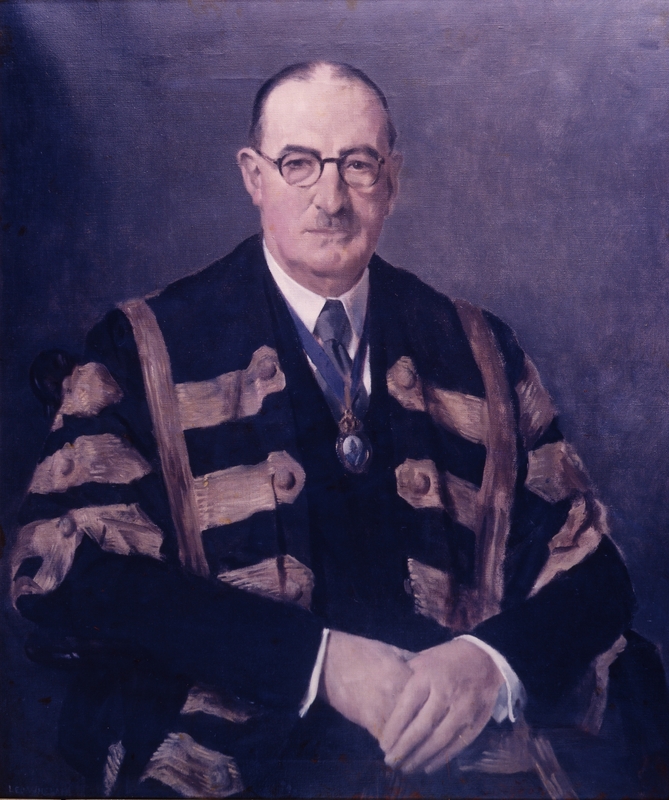 Sir Arthur Macan was Master of the Rotunda, he championed the Listerian principles of anti-sepsis and further developed the system of nursing. In his last year at the Rotunda he reported the first successful case of Caesarean section in Ireland. 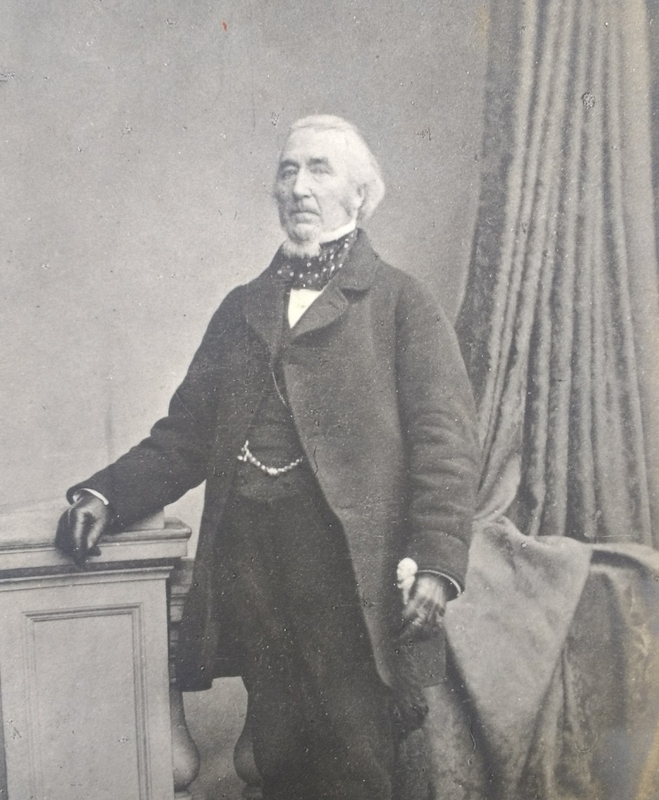 Sir William Smyly was a member of a prominent Dublin medical family. He was an obstetrician and gynaecologist, as Master of the Rotunda he promoted patient care and on the education of midwives. 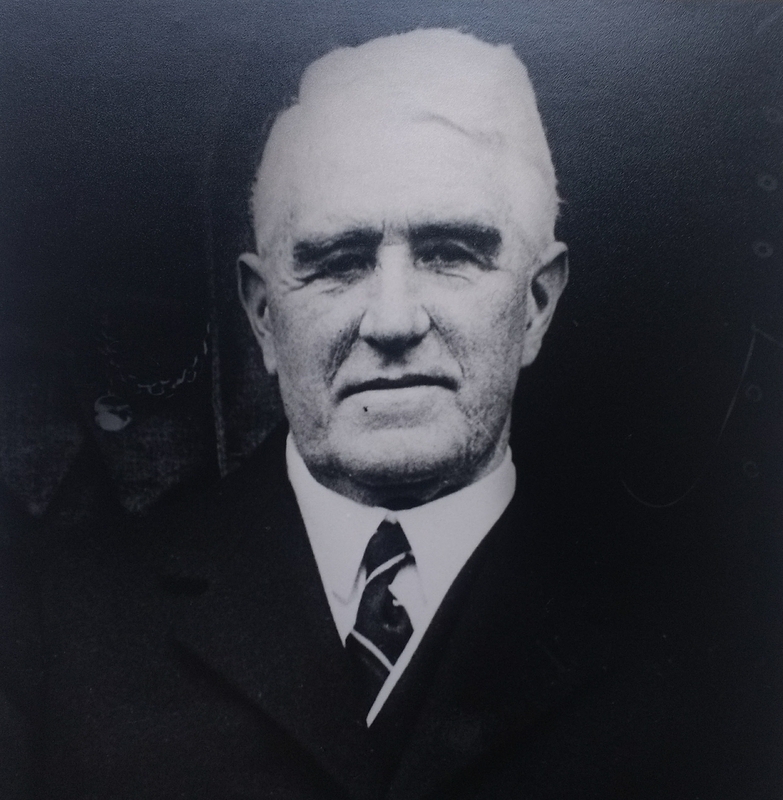 Joseph Michael Redmond was Senior Physician at the Mater Misericordiae Hospital, where he spent most of his career. He was knighted by George V on 23 February 1911, and the following year was made a member of the Knights of the Holy Sepulchre in 1912. 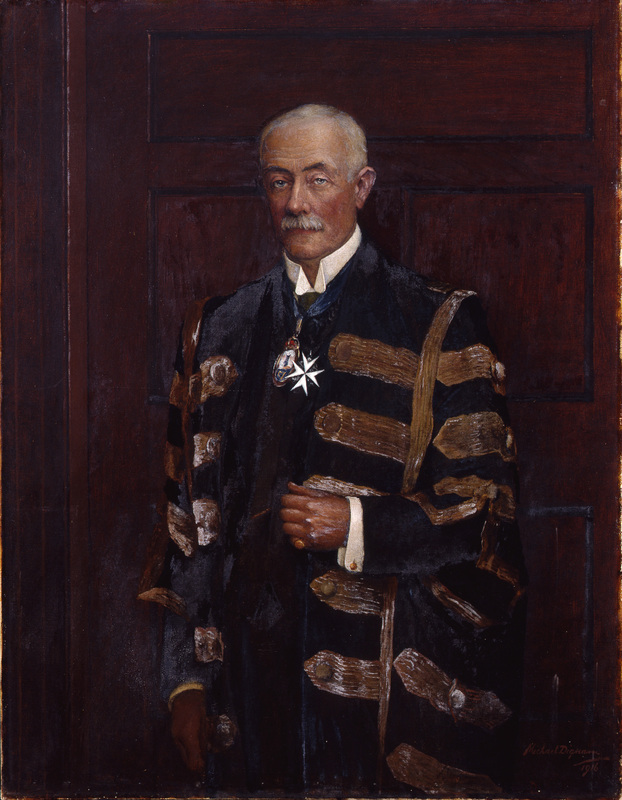 Sir Andrew Horne was one of the first joint Masters of the National Maternity Hospital. He and the hospital are mentioned in James Joyce's Ulysses. 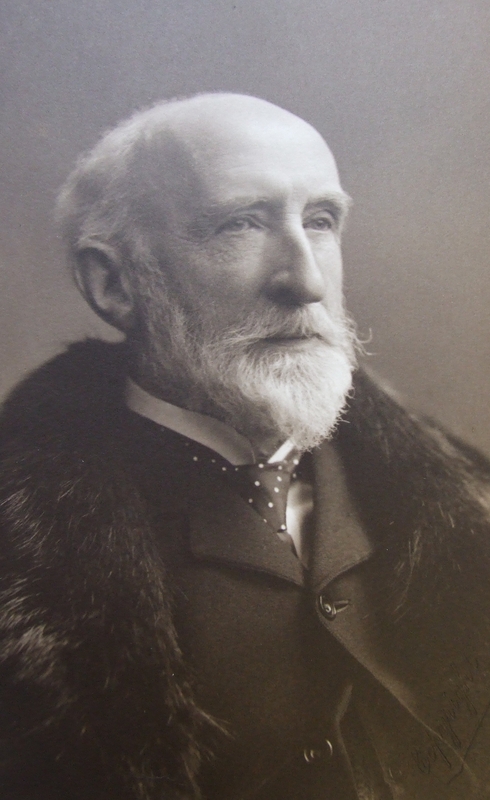 Sir John Hawtrey Benson worked at the Royal City of Dublin Hospital and as medical adviser in Ireland to the Colonial Office. 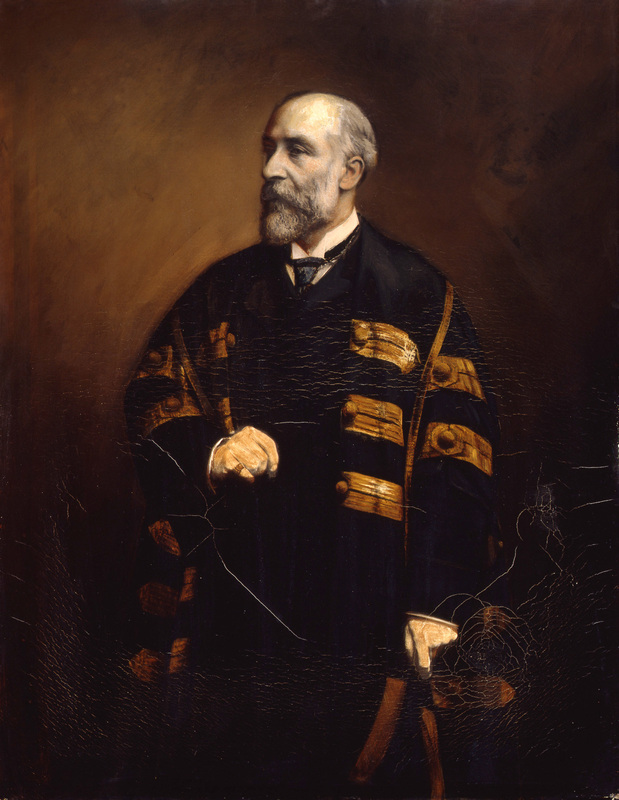 Charles Edward Fitzgerald was an ophthalmic surgeon and was Surgeon Oculist of Queen Victoria, King Edward VII and King George V.
Ephraim MacDowel Cosgrave was Professor of Botany at the Royal College of Surgeons in Ireland and published a popular first aid book for the St John Ambulance Association. Amongst his other achievements he is reputed to be the first person in Ireland to play cheese with living pieces. 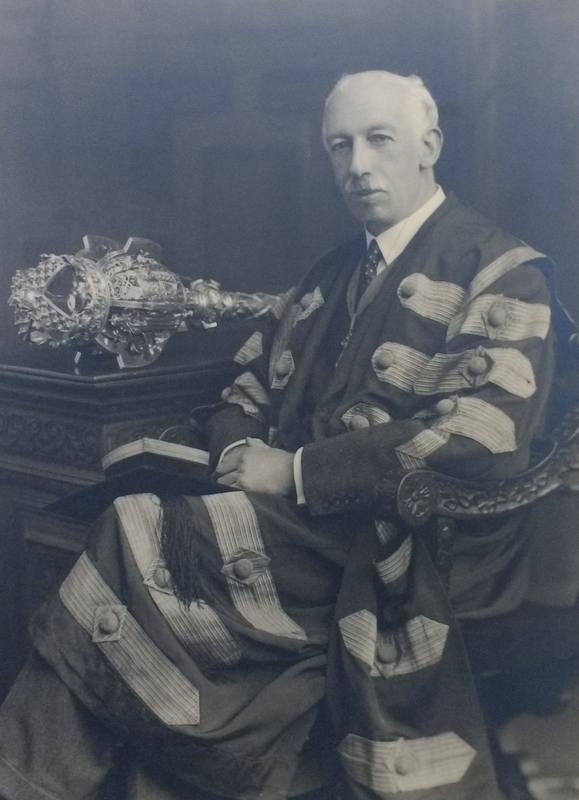 Joseph O'Carroll was Professor of Medicine at University College Dublin, and one of the Visiting Physicians of the Richmond, Whitworth and Hardwicke Hospitals. O'Carroll was a Colonel in the Royal Army Medical Corps, and Consulting Physician to the British Forces in Ireland during World War One. Sir James Craig was Physician to the Meath and Sir Patrick Dun's Hospital, King's Professor of Medicine in Trinity and Physician-inOrdinary to the Lord Lieutenant. 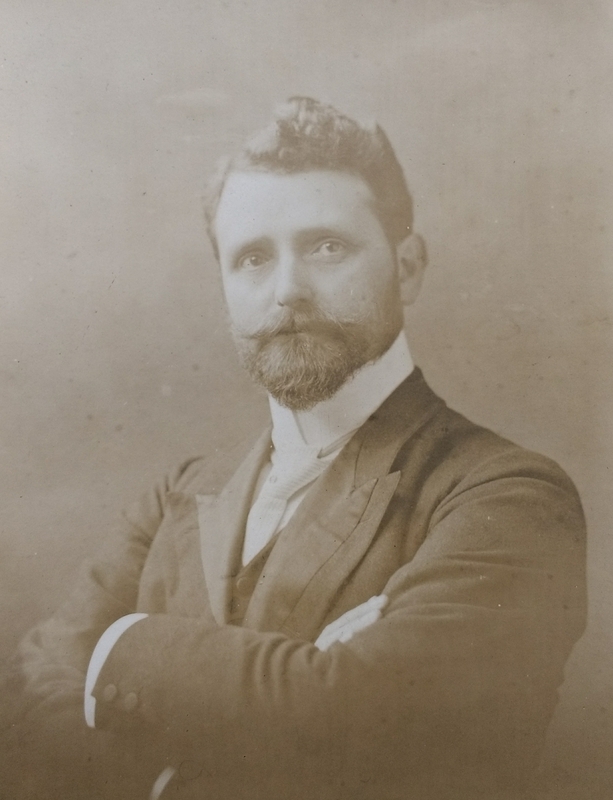 An MP, and later TD, for Dublin University, he was active in Dáil in public health -matters and sponsored legislation on the Irish Hospital Sweepstake. 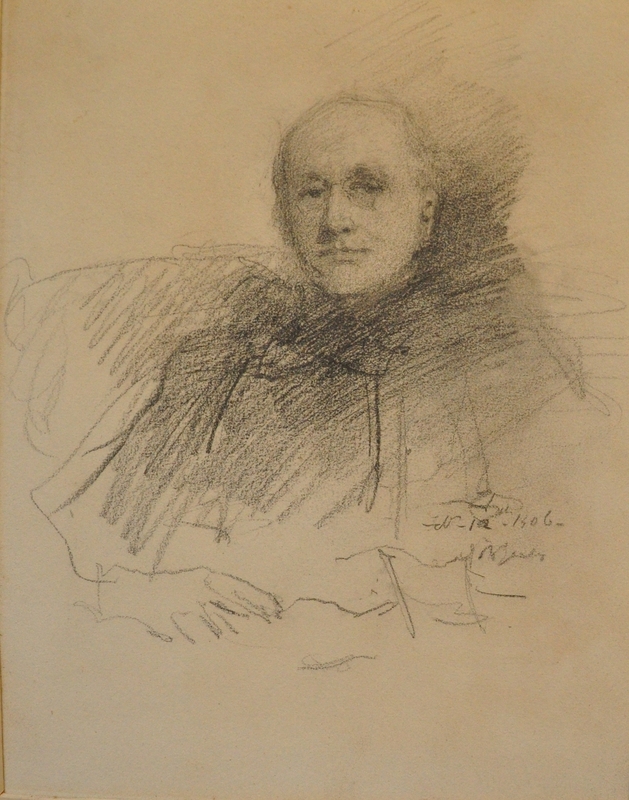 Michael Francis Cox held appointments at many Dublin hospitals including St. Vincent's Hospital, where he treated casualties during the 1916 Rising. He was appointed to the Privy Council in 1911, the first Irish doctor to serve on the body, but resigned in 1920 in protest over the failure to implement Home Rule in Ireland and over the actions of the Black and Tans. 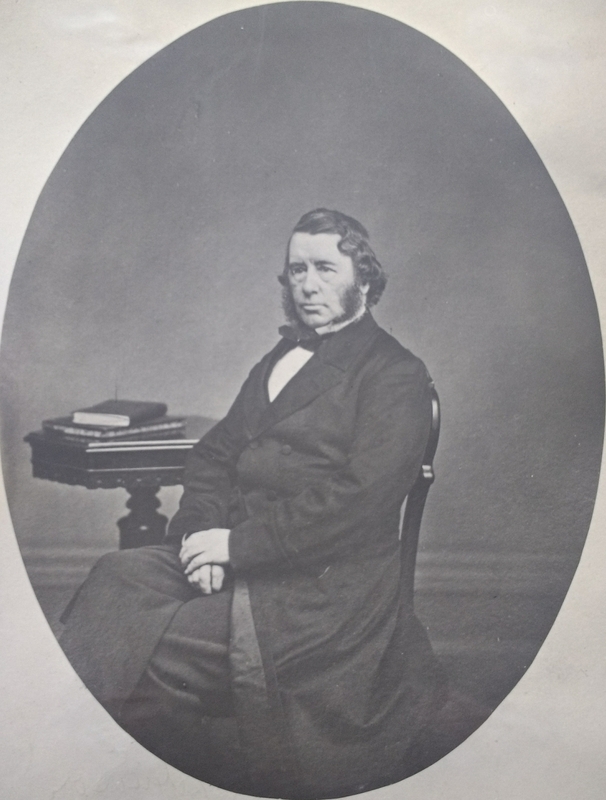 Thomas Wilson was Gynaecologist to the Richmond Hospital and Sir Patrick Dun’s Hospital, and King’s Professor in Midwifery at Trinity College. Described as ‘a rational man ... his skill as a surgeon won for him a good gynaecological practice. He was a charming companion, his friends found him kindly, humorous and tolerant’. William Winter was Physician to Dr Steevens' Hospital and he served with the Royal Army Medical Corps during the First World War. He was so unassuming that his capacity and dignity as President of the College 'exceeded the anticipations even of his friends'. Thomas G Moorhead went blind in 1926 as the result of an accident. He continued to practice medicine and was elected President of the College in 1930. 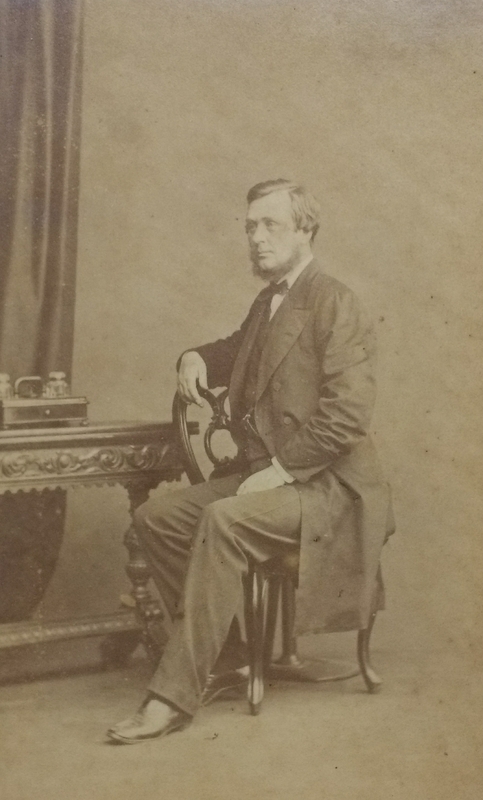 Francis Carmichael Purser represented Ireland at rugby while a medical student. 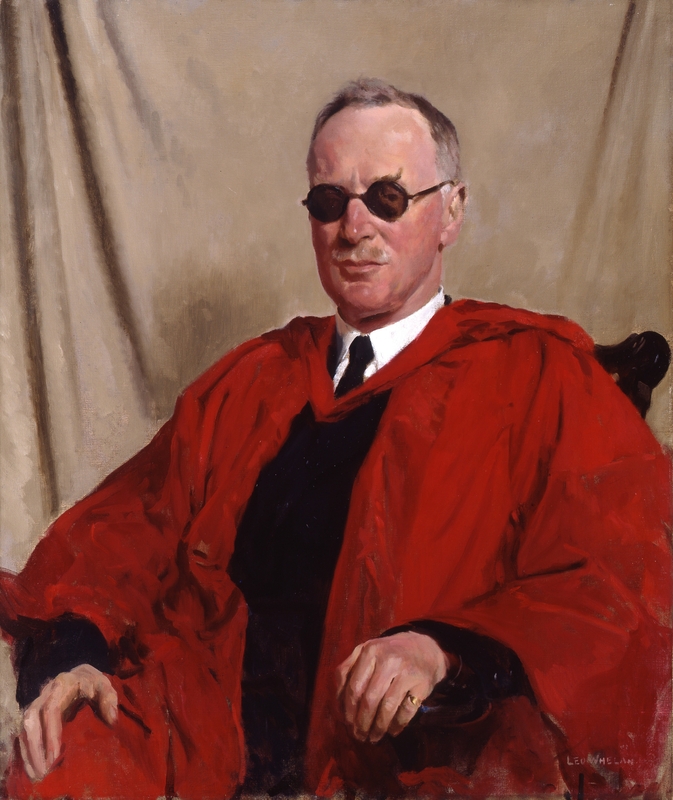 He served in the British Army in World War I, before returning to civilian practice and professorships in RCSI and Trinity College Dublin. John Agar Matson was consulting physician to the Richmond Hospital in Dublin. As President of the College he worked to preserve the identity and educational function of the College within the nascent health service of the new State. 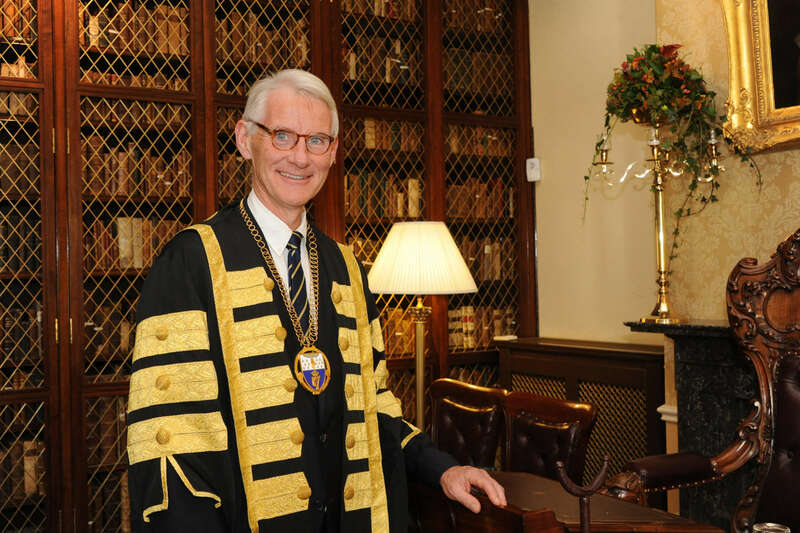 William Boxwell was the first pathologist to be elected President, Boxwell was appointed Professor of Pathology and Bacteriology in RCSI. Boxwell and his cousin Henry Stokes were Presidents of the two Irish Colleges at the same time and both were grandsons of William Stokes. Robert Rowlette was a physician, author, athlete and politician. He was the first Deputy to enter the Dáil without taking the Oath of Allegiance to the King. Following an early interest in diagnostic radiology William Harvey followed a career in dermatology. He was dermatologist to the Adelaide and National Children's Hospital, and had an extensive private practice. Bethel Solomons gave up his international rugby career for obstetrics and gynaecology, becoming the first Jewish Master of the Rotunda. He knew many of the literary figures of his day, and is referenced by Joyce in Finnegans Wake. Leonard Abrahamson was nearly expelled from Trinity for inviting Padriag Pearse to speak at a student event. He went on to become a leading cardiologist and founded the Jewish Representative Council. 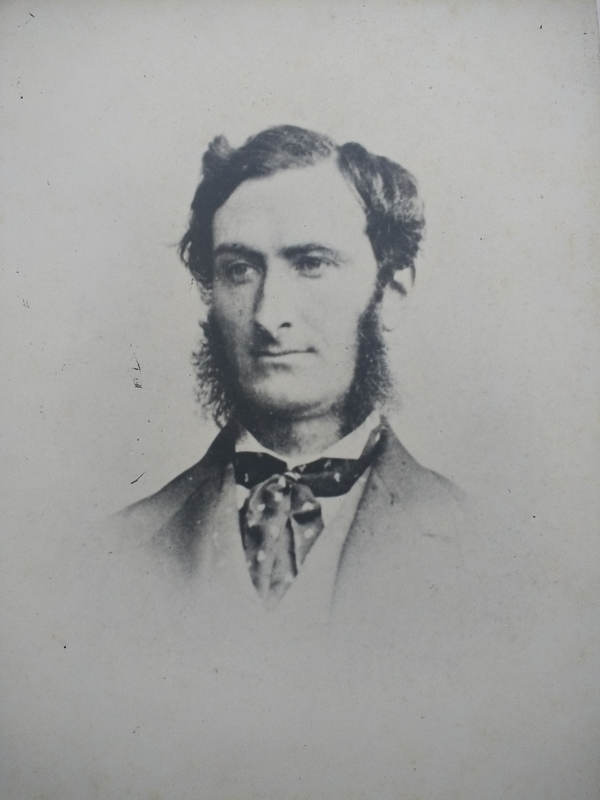 Edward Freeman was physician to the Mater Hospital, where he devoted his energies to the institution’s therapeutic and academic development. Francis O'Donnell was a long-serving dermatologist to the Hume Street Hospital, and Governor of the Apothecaries' Hall of Ireland. 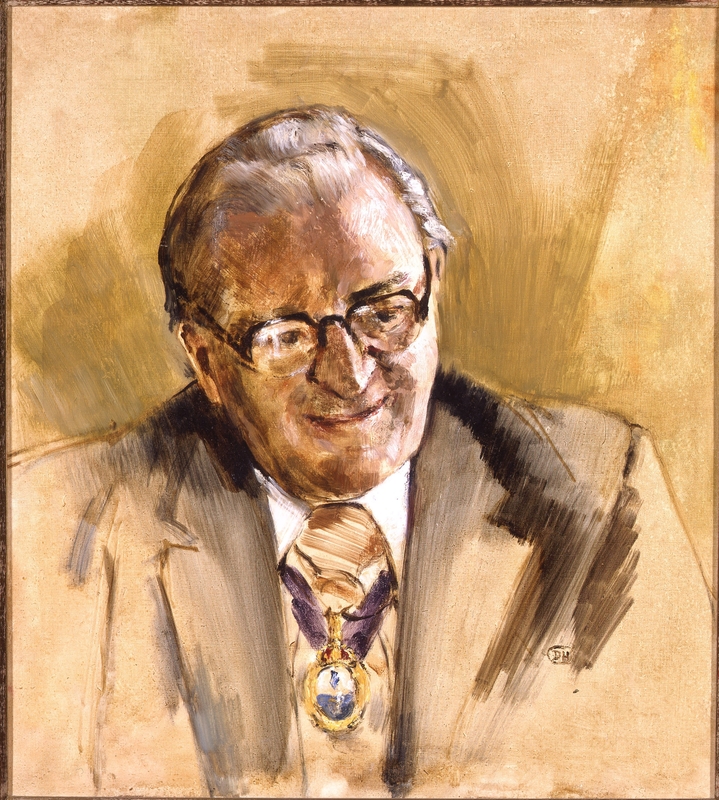 Patrick O'Farrell specialised in cardiology, and was the founder and first President of the Irish Cardiac Society. Early in his career O'Farrell was one of the doctors who signed a certificate stating James Connolly was mentally fit to stand trial. Robert Steen was a renowned paediatrician, sportsman and musician. Steen performed the first cardiac catheterisation and angiocardiogram in Ireland in 1950. 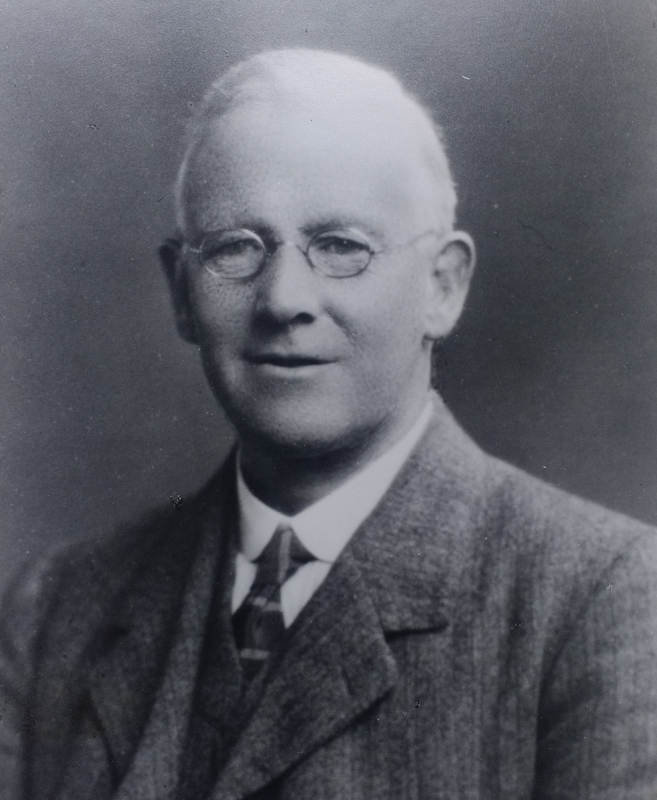 Along with Dorothy Price he pioneered BCG inoculation in Ireland. 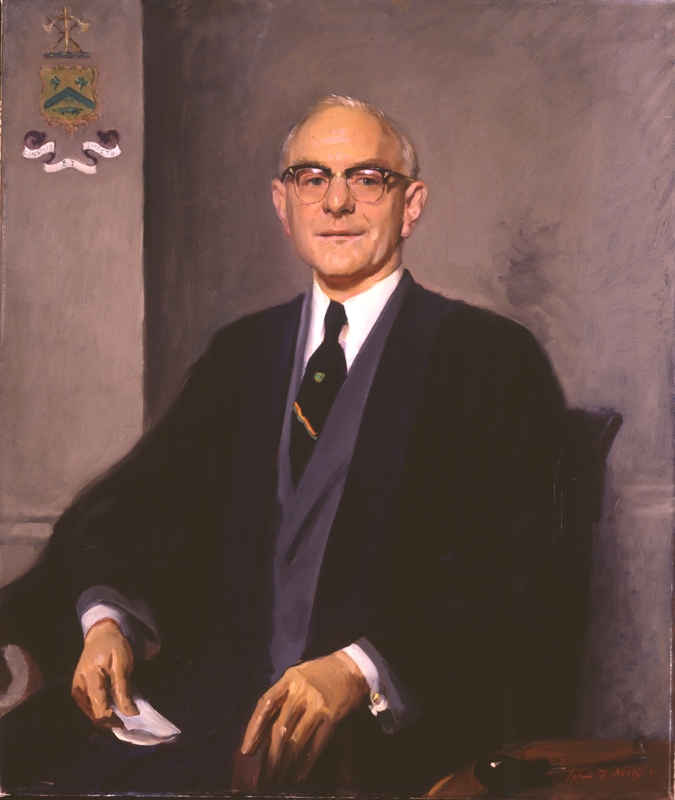 Robert Brian Pringle was a physician and occupational health pioneer. 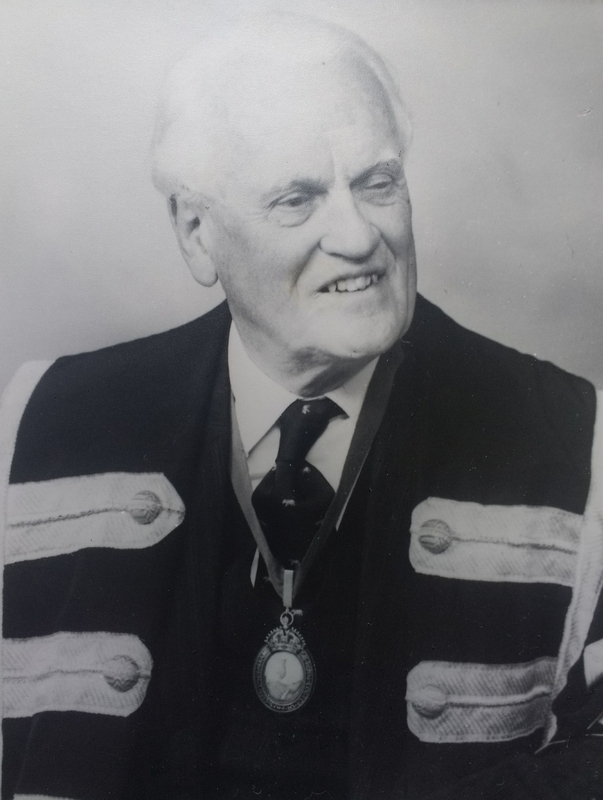 He was Chief Medical Officer at Guinness’s Brewery, lecturer in occupational medicine at Trinity College and founded the Association of Industrial Medical Officers of Ireland. 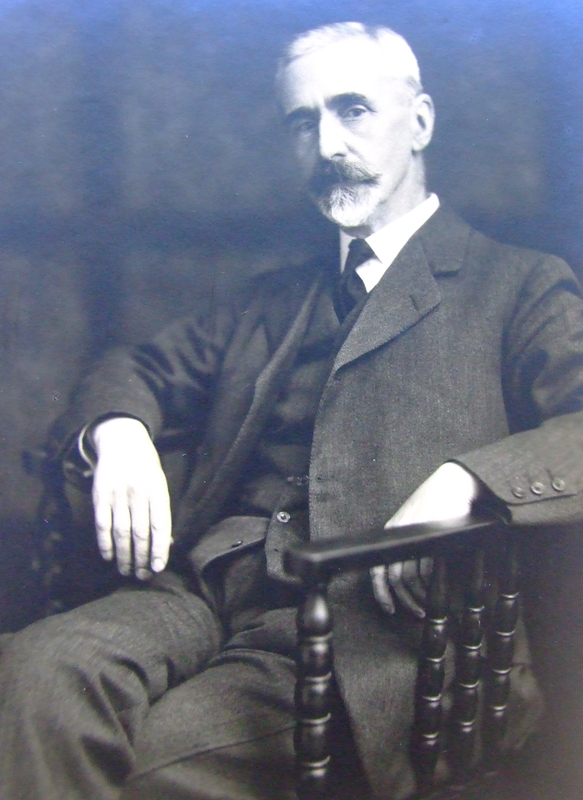 Albert Thompson was Professor of Medicine in RCSI and Physician to St Laurence's Hospital Dublin. During World War II Thompson helped establish a Red Cross Hospital at Sainte Lô, Normandy. Specialising in dermatology, David Mitchell held appointments at many Dublin hospitals. He helped reform medical education and the Membership exam in the College. He summarised ‘the hallmarks of a profession are learning, integrity, self-imposed discipline and independence’. 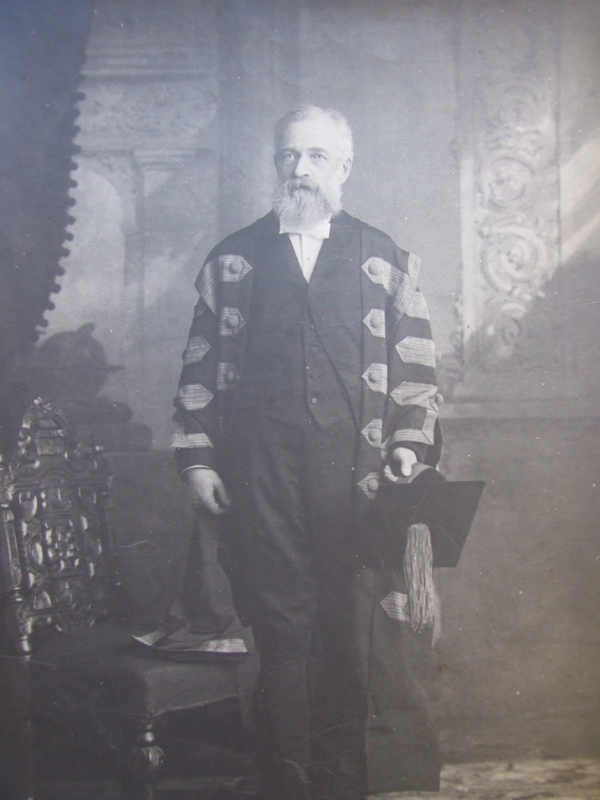 William John Edward Jessop was Professor of Physiology at RCSI, and then Dean of the School of Physic in Trinity. He provided leadership to reorganise hospital services, aiming to improve the quality of patient care and of clinical teaching. Bryan Alton Specialising in gastroenterology and devoted much of his professional career to the Mater Hospital. A member of Seanad Eireann, he was involved in the 1960s Fitzgerald Report, Outlining the Future Hospital System. 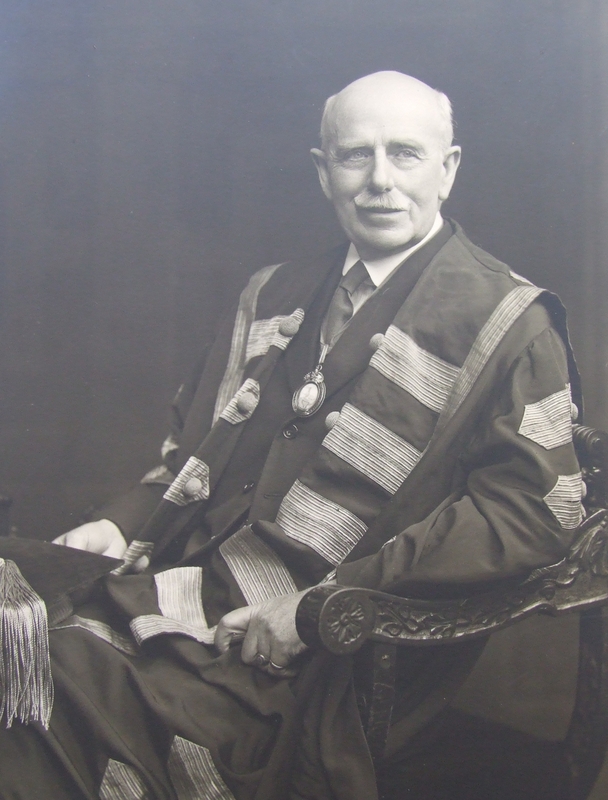 Alan Proctor Grant was the first Ulster based President in the College's history. 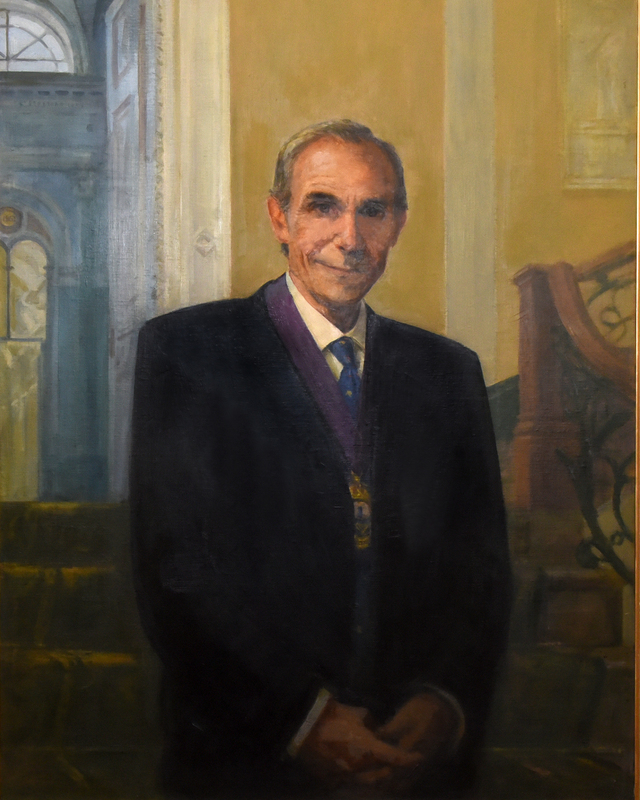 He worked hard to foster closer relationships between physicians from the North and the South, both through the College and the Corrigan Club. Grant volunteered to provide consultant care for the Maze Prison hunger strikers. 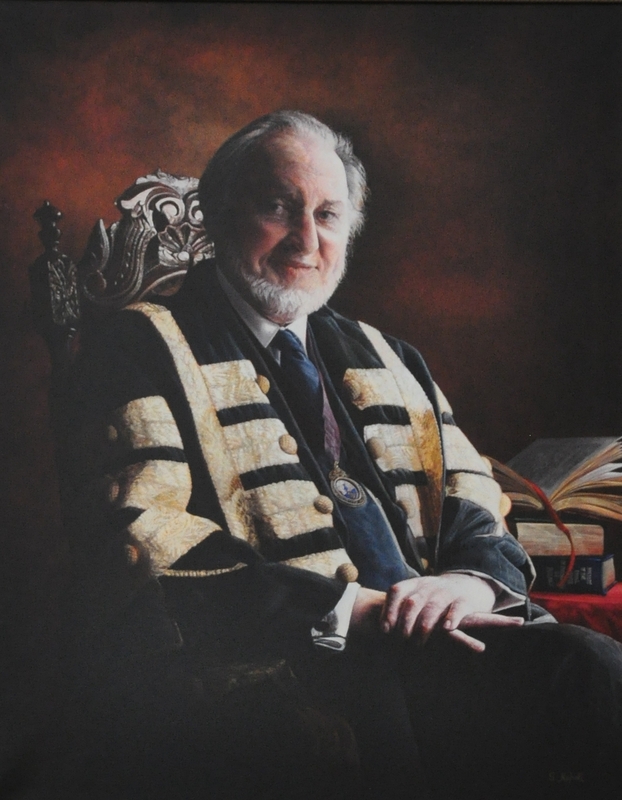 Dermot Holland was Professor of Pathology and Dean of Medicine in RCSI and was an engaging and succinct lecturer and was always most gracious and understanding when interacting with medical students. 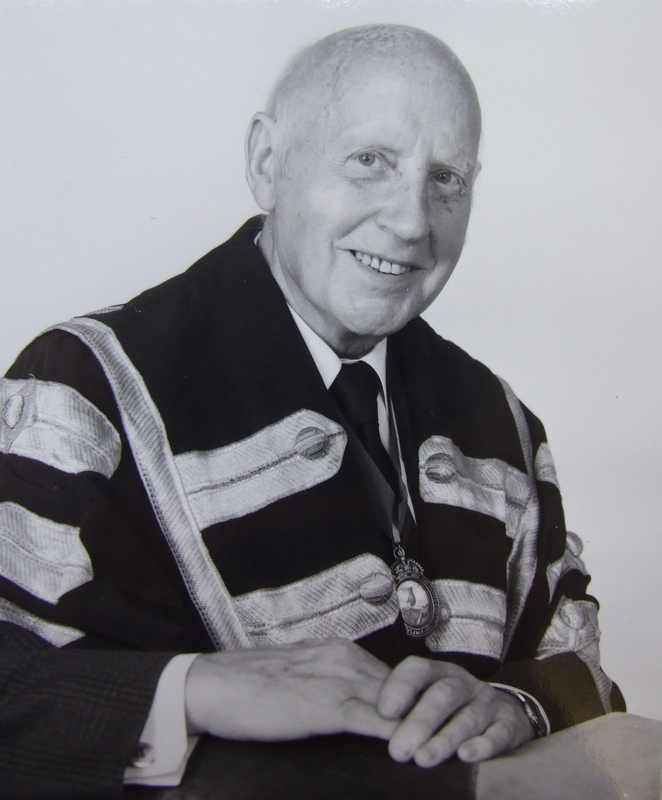 John Kirker pioneered the development of EEG services throughout Ireland, and was a founding member of the Irish Epilepsy Association, later Brainwave. Throughout his life he was actively involved in the development of epilepsy care and research. 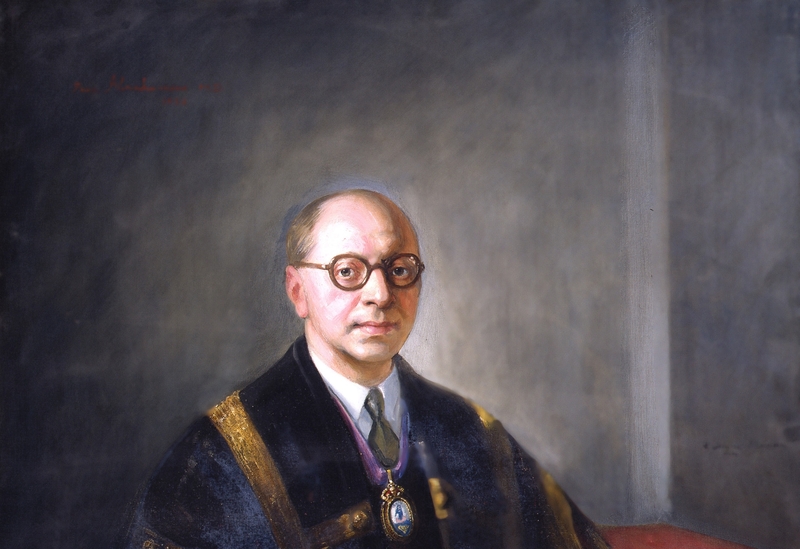 As a general physician to the Mater Hospital, Ivo Drury developed the endocrine and diabetes unit and was instrumental in setting up the hospital’s diabetic day case centre. 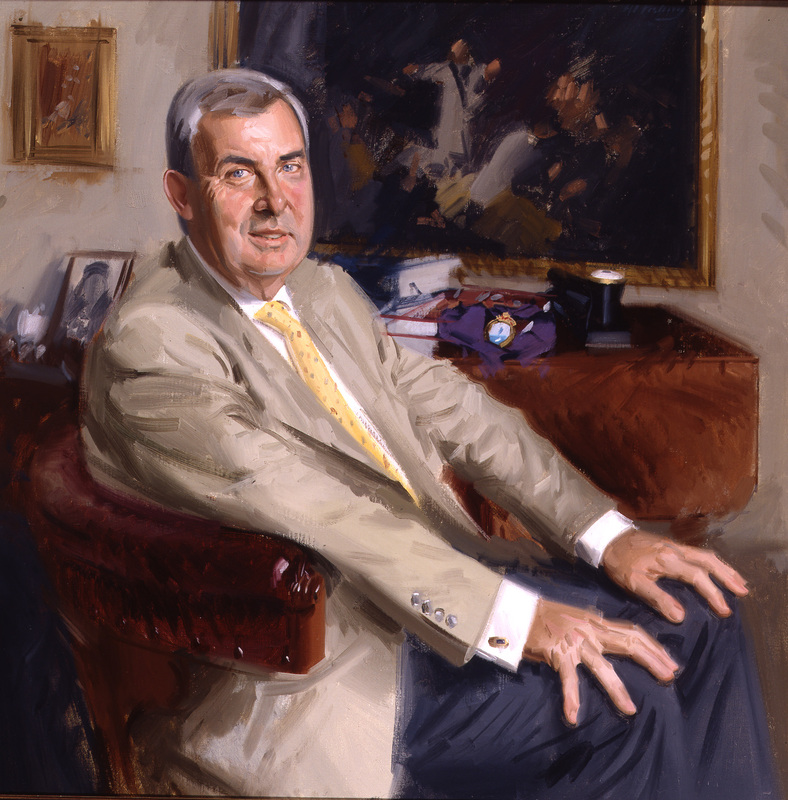 He co-founded the Corrigan Club to encourage cross-border collaboration between doctors. 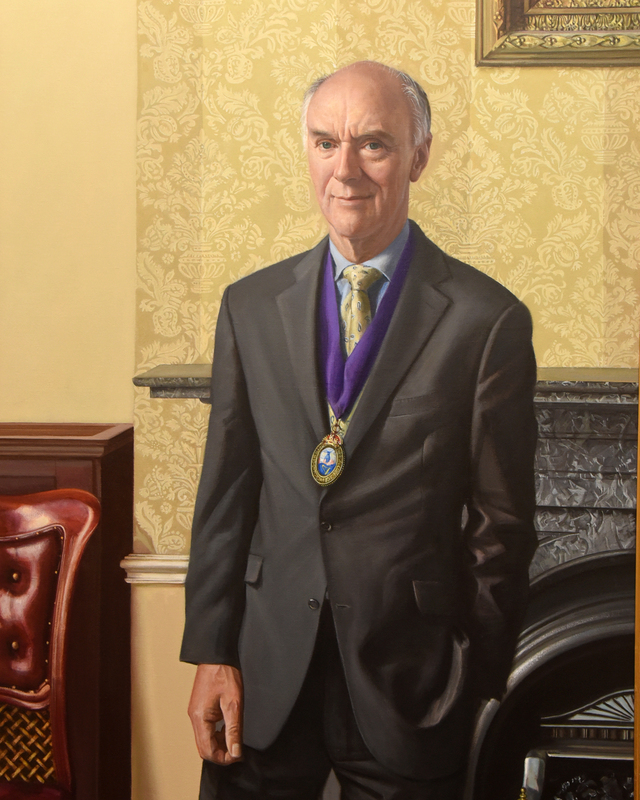 Ciaran Barry’s career had three major strands, rheumatology at the Mater, rehabilitation, particularly for children with cerebral palsy, at the Central Remedial Clinic, and as Registrar and President of the College of Physicians. 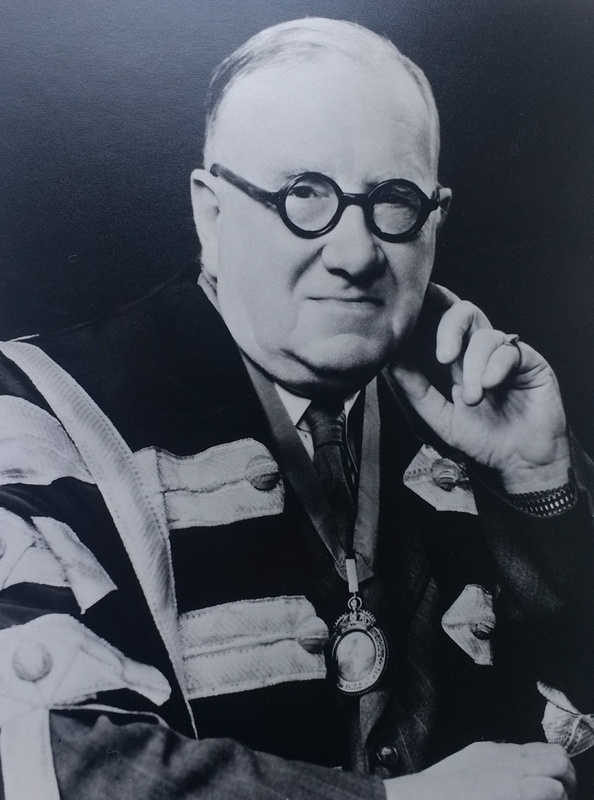 John Stephen Doyle was a leading gastroenterologist and pioneer of modern-day endoscopy in Ireland. 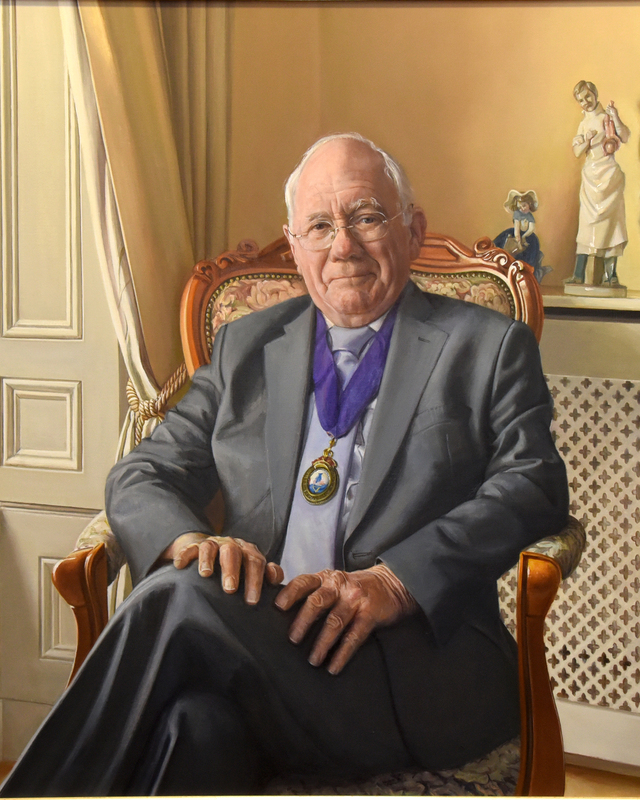 He worked at St Lawrence’s, later Beaumont, Hospital and served on several Boards, including Comhairle na nOspidéal and the Eastern Health Board. Des Canavan specialised in infectious diseases, working at various Belfast hospitals and driving developments in that city. He was an active member of the Corrigan Club, fostering cross-border medical collaboration. His presidency saw the development of comprehensive training programmes and the project to refurbish 6 Kildare Street.